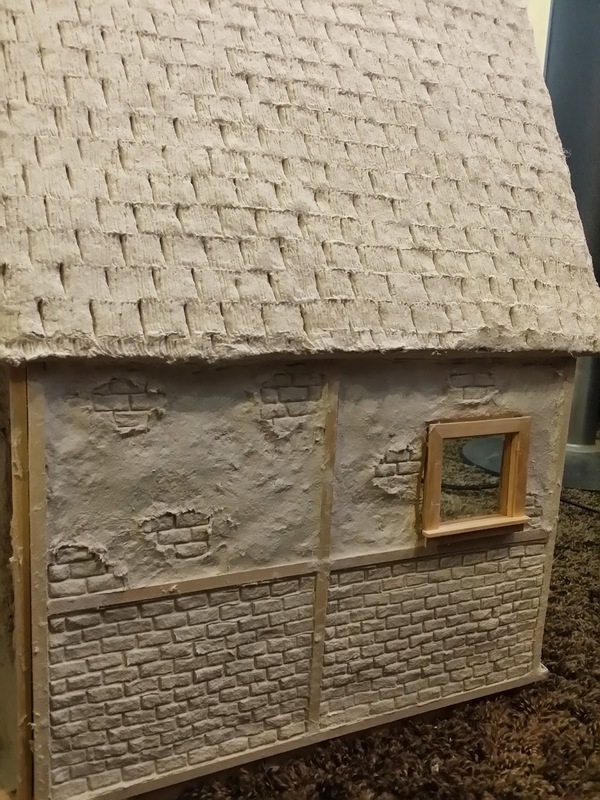 Hi again everyone, I just posted yesterday but I had to post some pictures of the newest house. 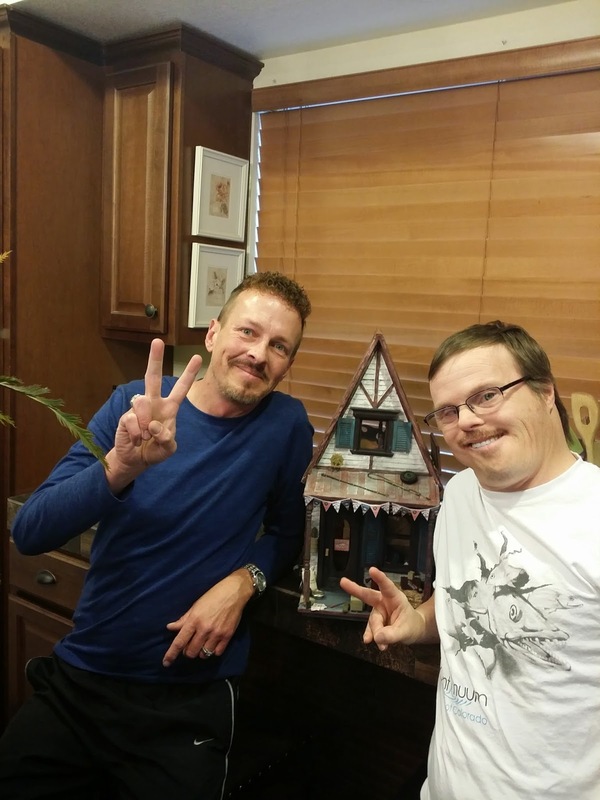 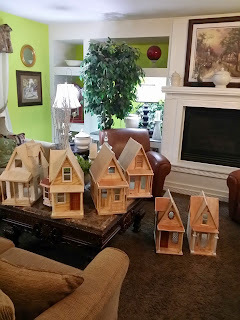 One of the Gentlemen I provide daily support for that has lived with us for over 12 years was inspired by the Mini Row Houses I was working on and asked me if I would help him build a House / Garage of his own. It was an honor to help him since it was his first time he's ever had an interest in mini's. 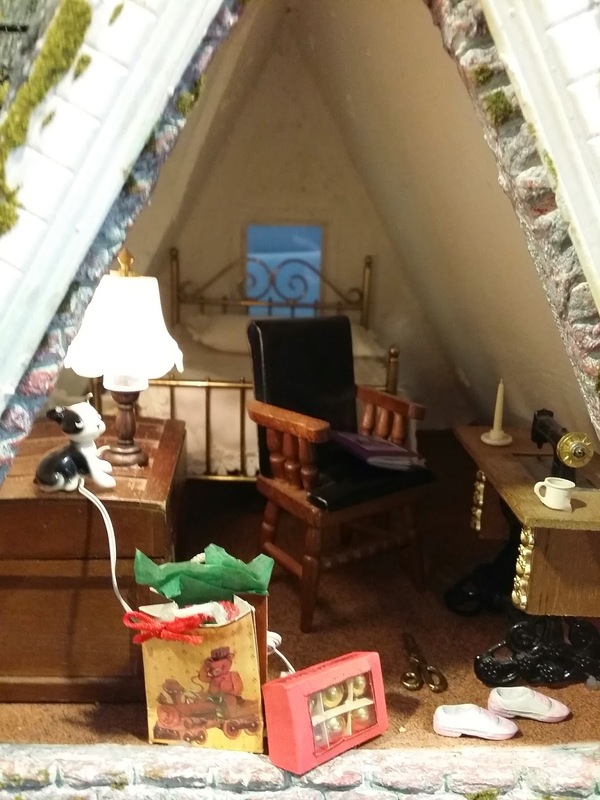 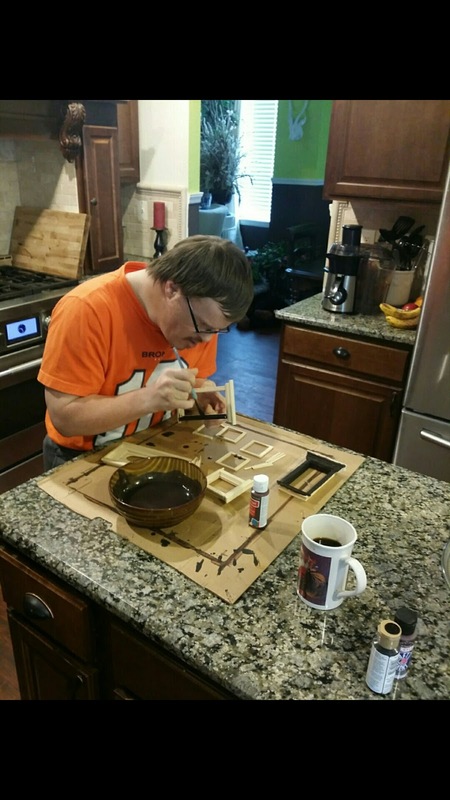 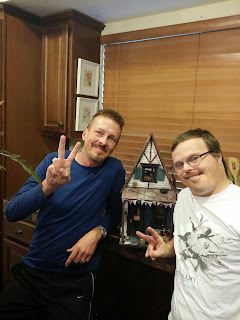 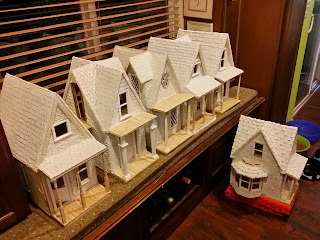 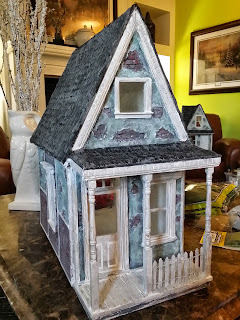 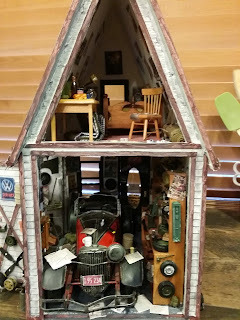 So since it was a Snowy Day here in Colorado we did a Craft Day and finished working on his house that we have spent many weekend hours putting together. I hope you enjoy the pictures. 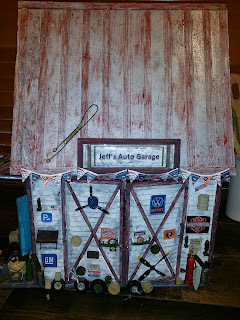 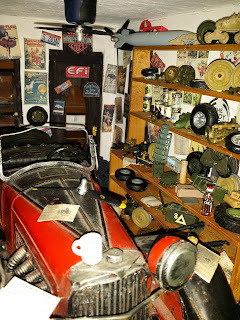 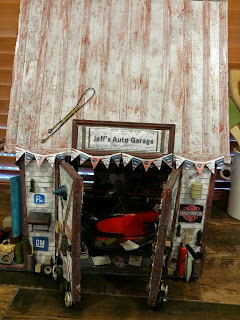 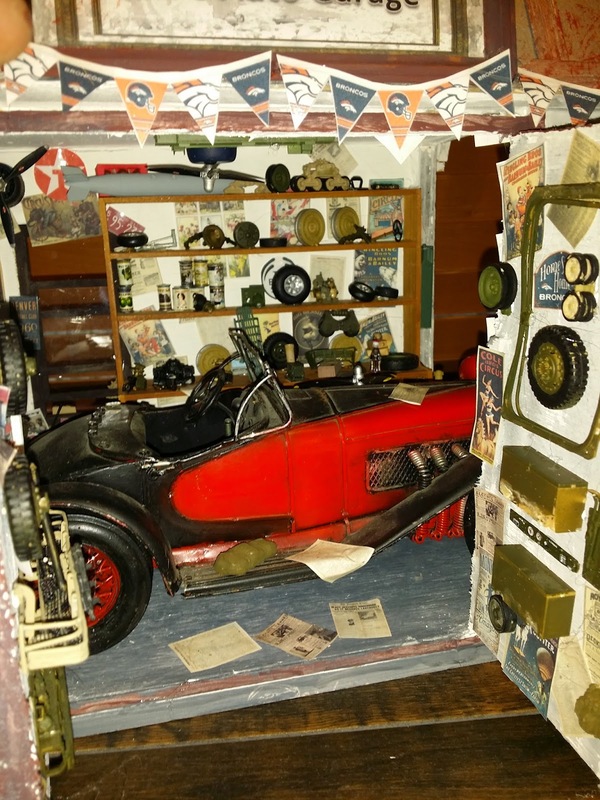 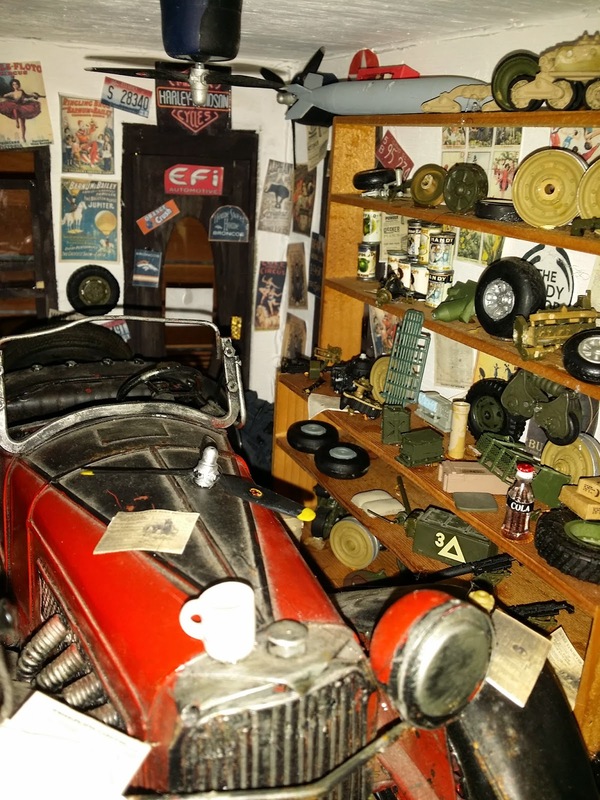 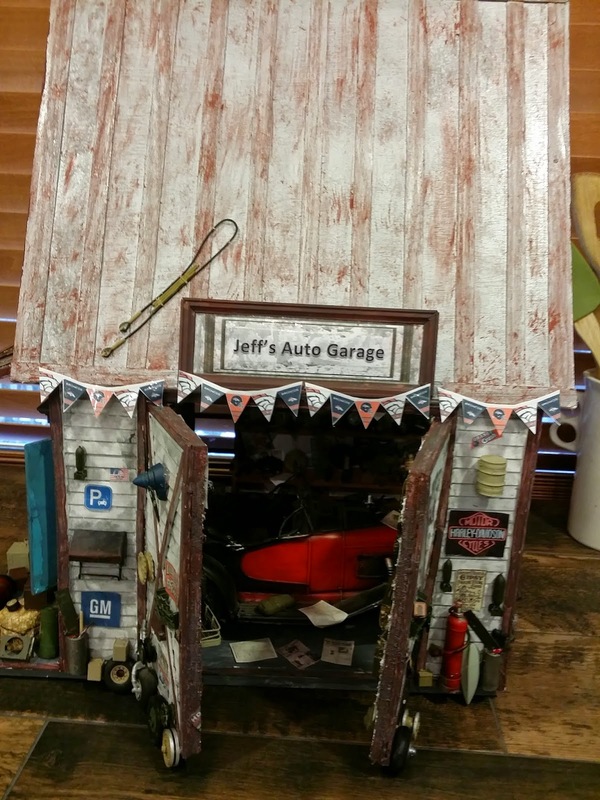 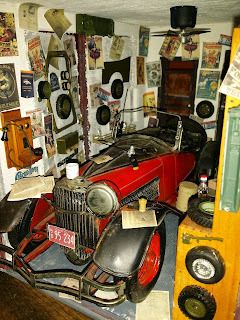 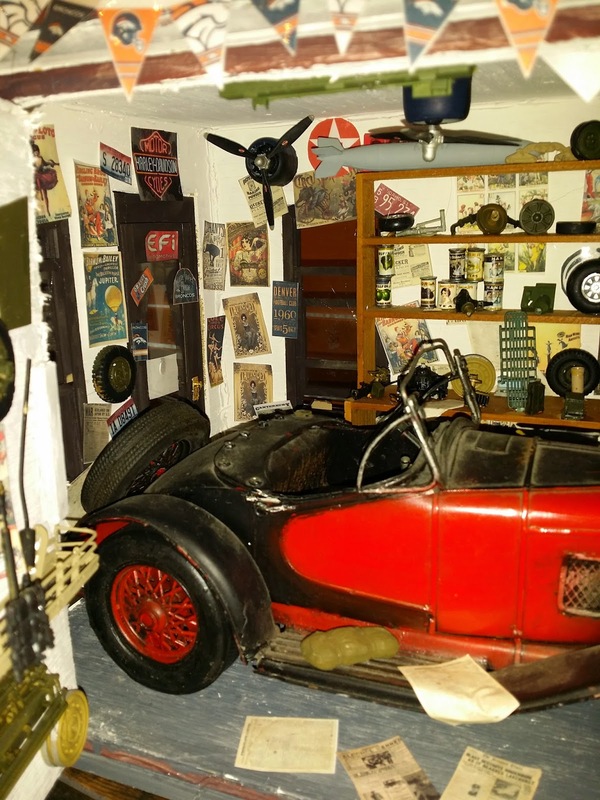 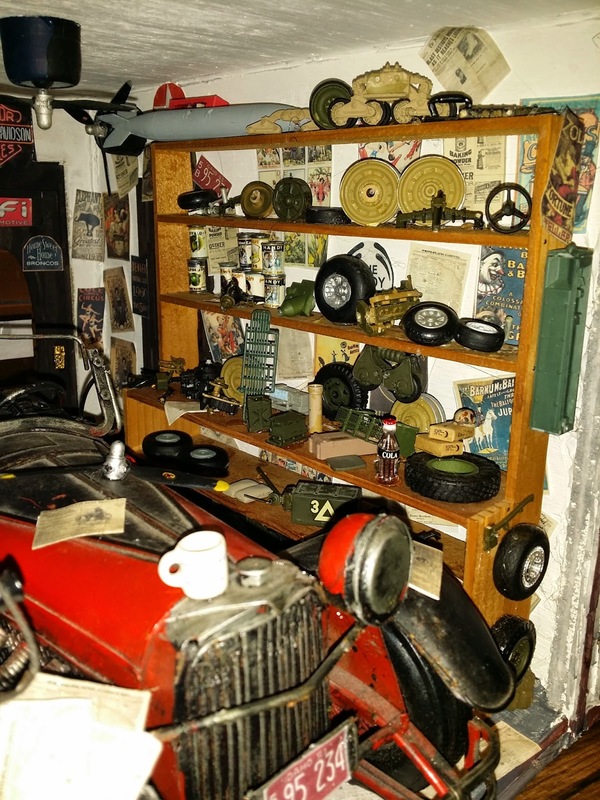 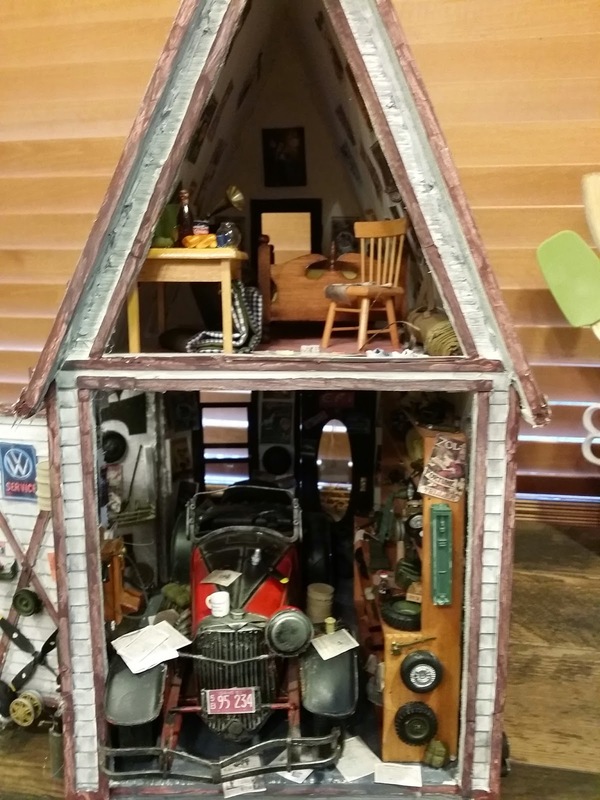 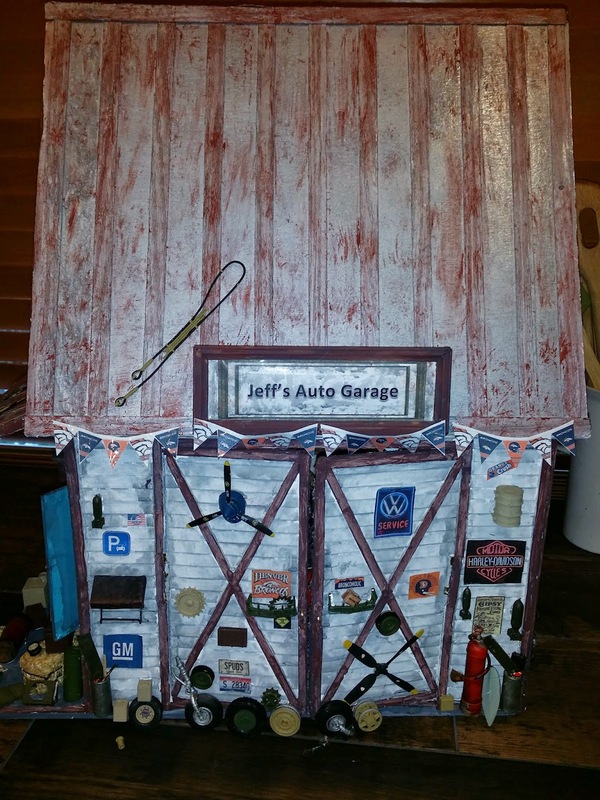 I had a whole bunch of Model Airplanes and Tanks I bought really cheap at an auction which I torn apart to supply the interior of his garage. 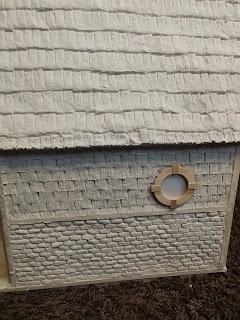 Plus many hours of cutting out the posters and newspapers I made and printed out from the computer. 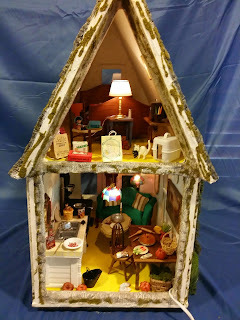 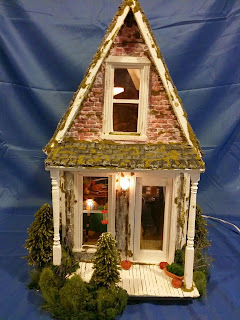 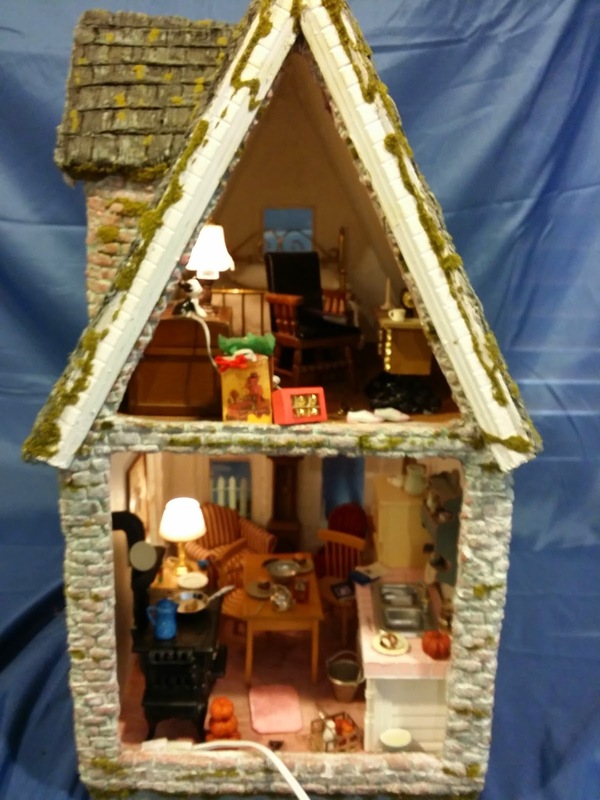 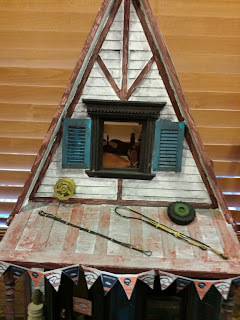 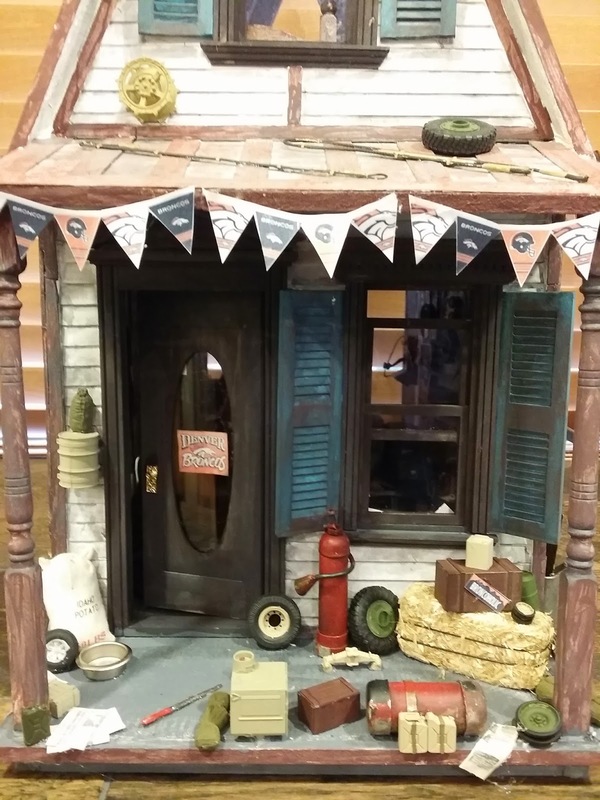 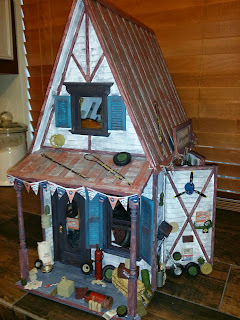 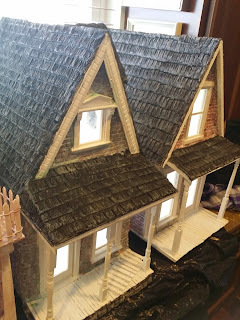 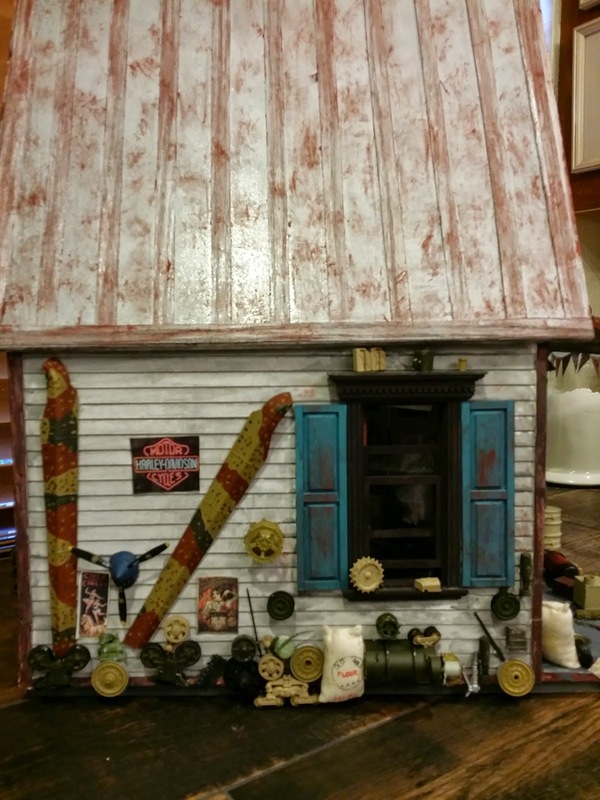 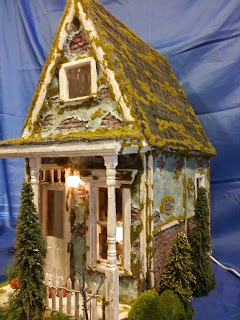 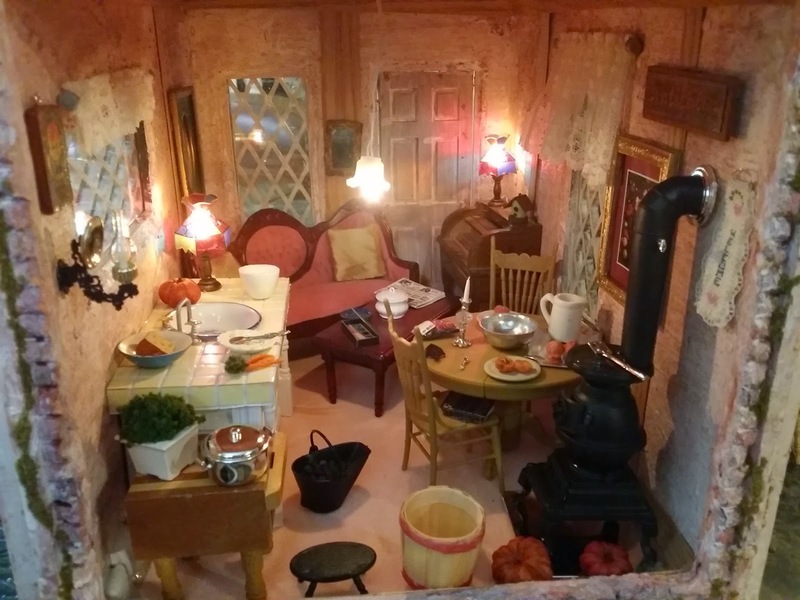 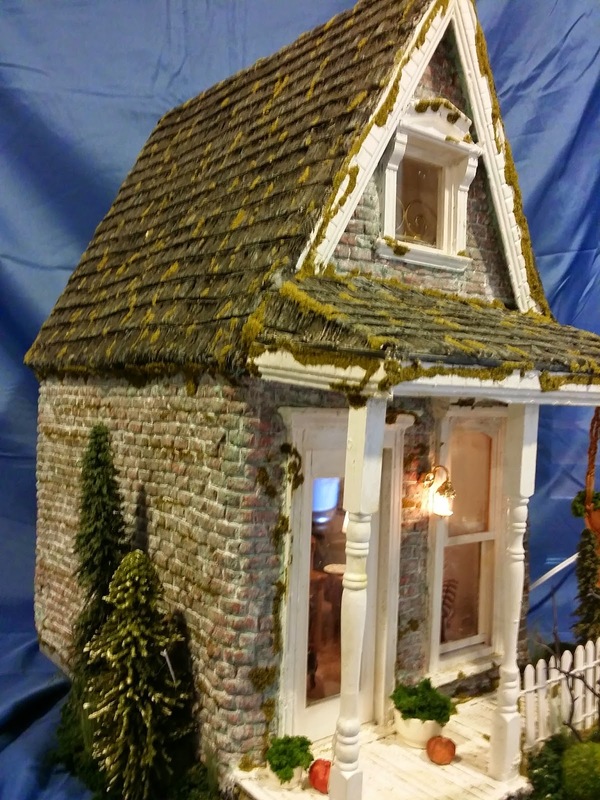 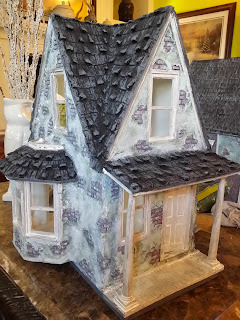 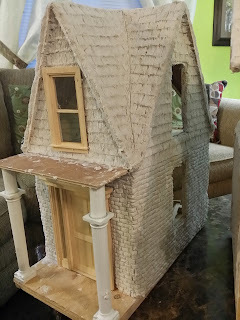 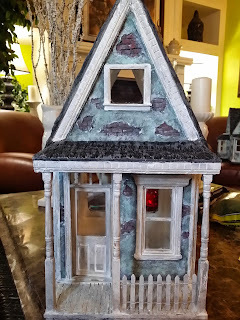 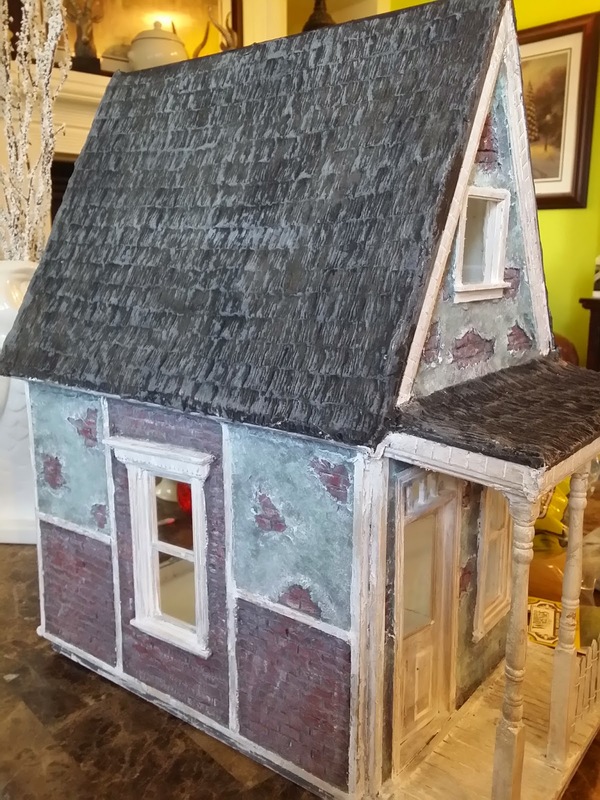 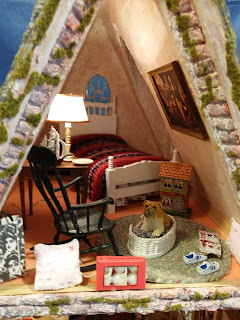 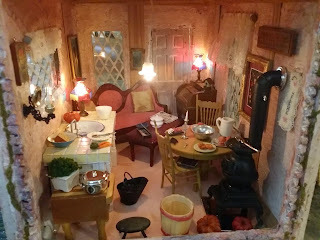 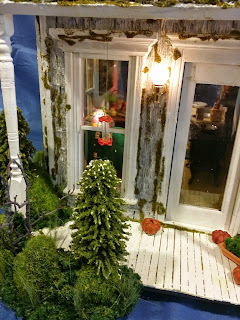 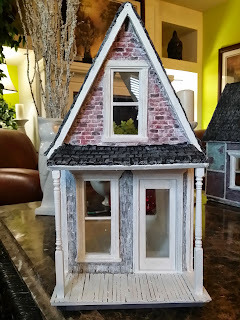 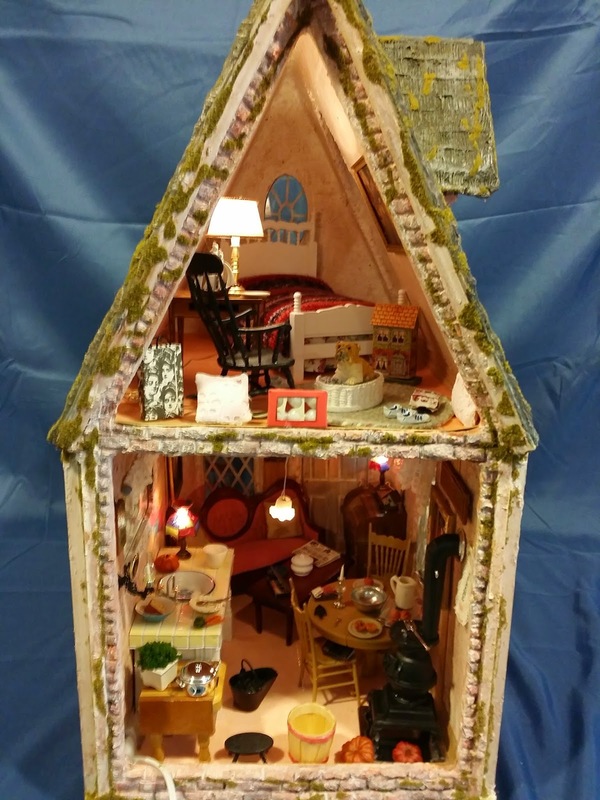 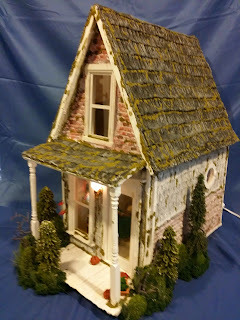 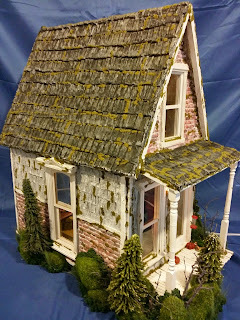 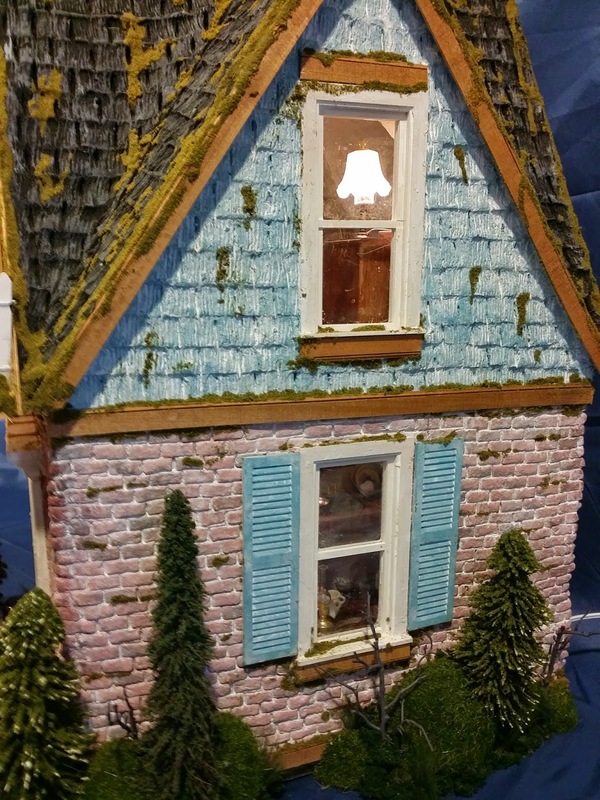 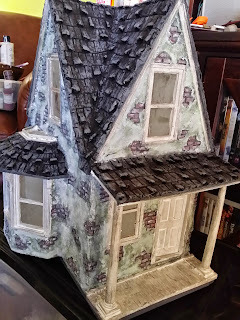 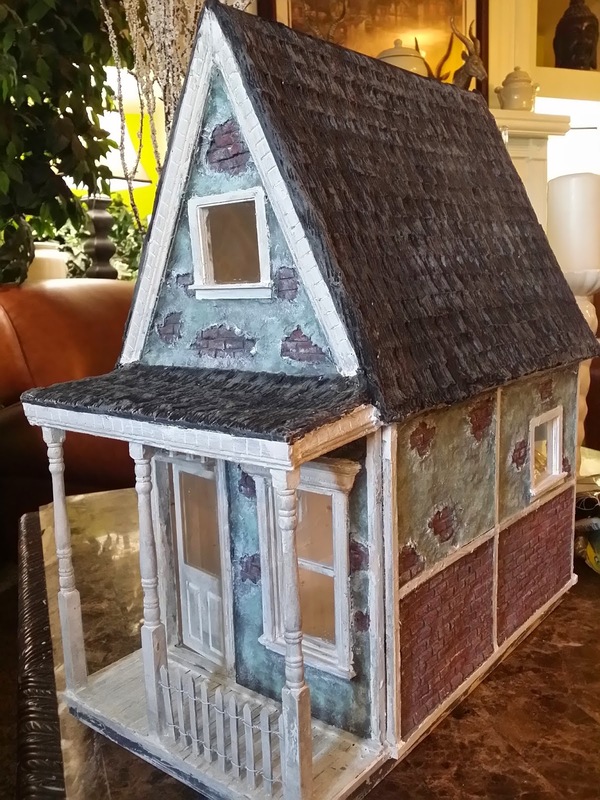 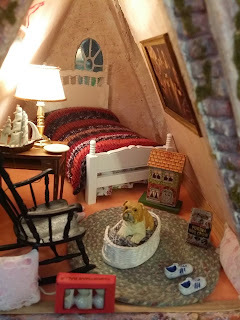 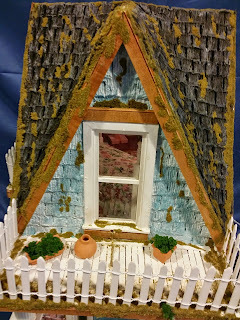 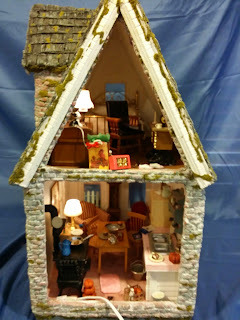 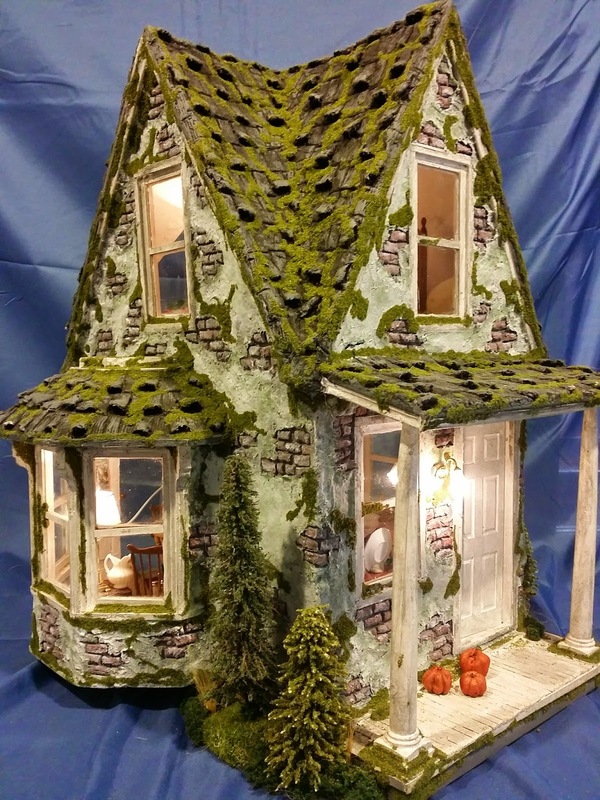 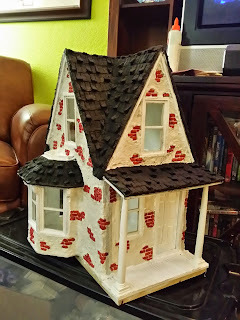 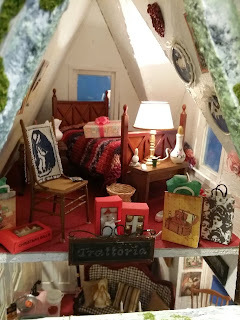 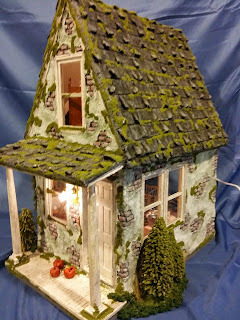 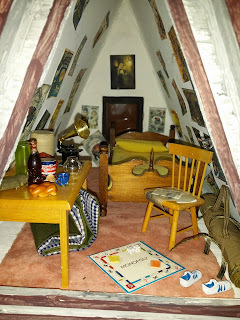 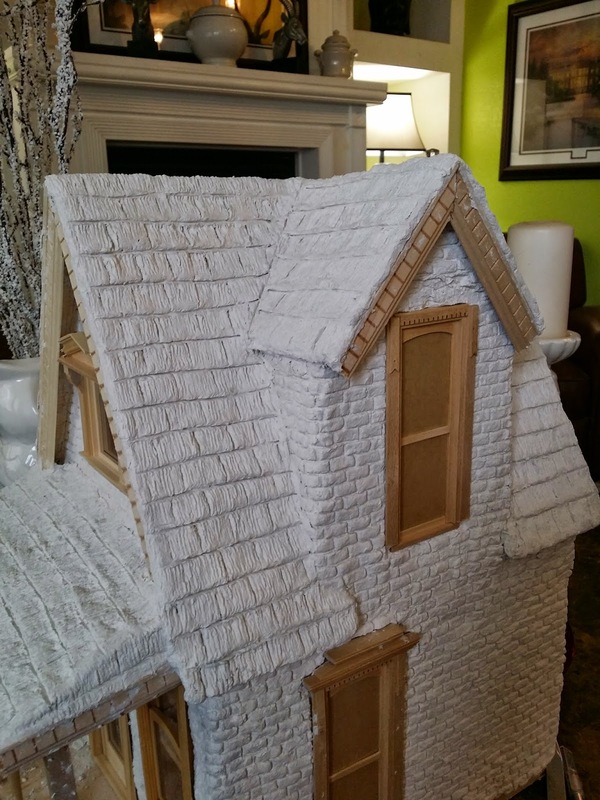 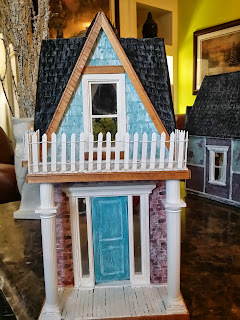 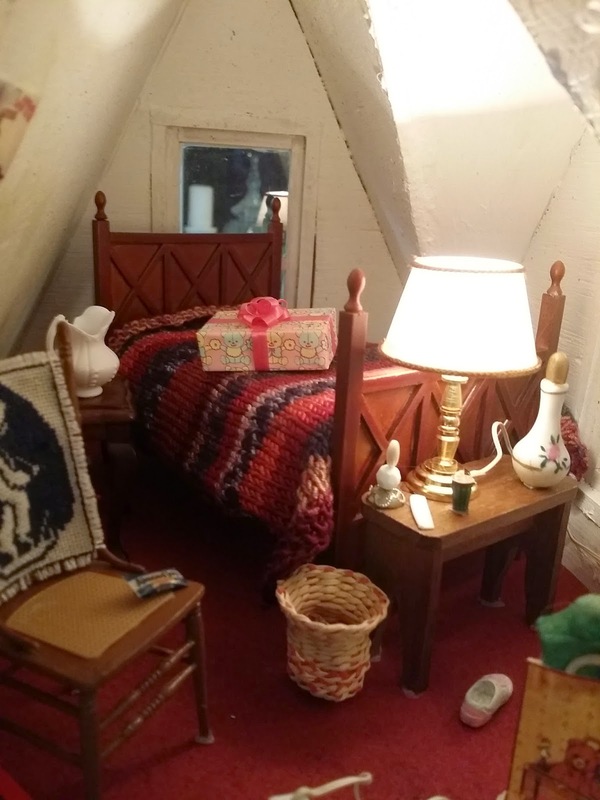 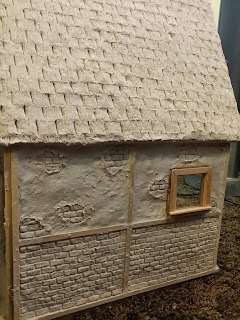 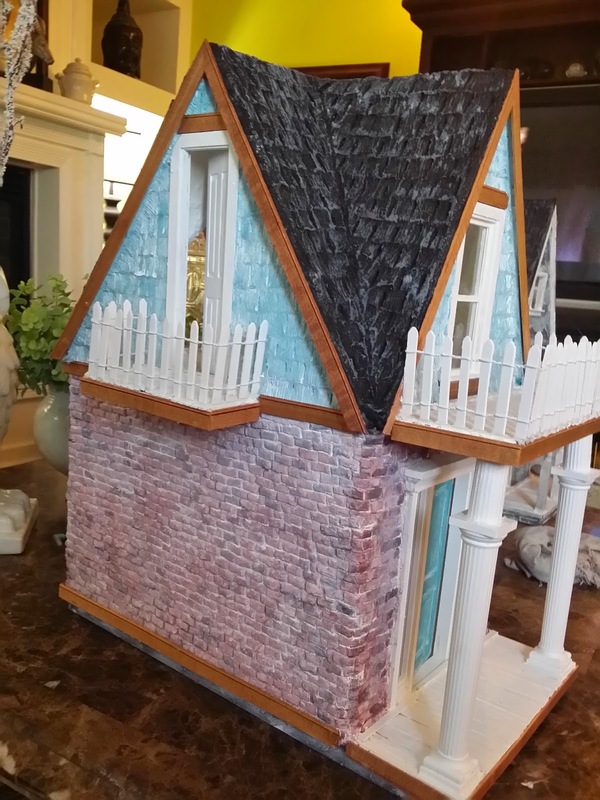 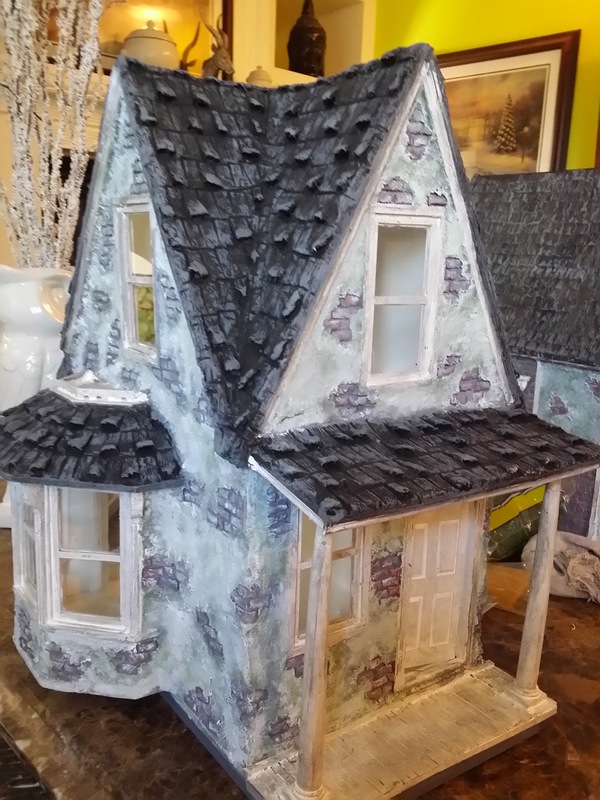 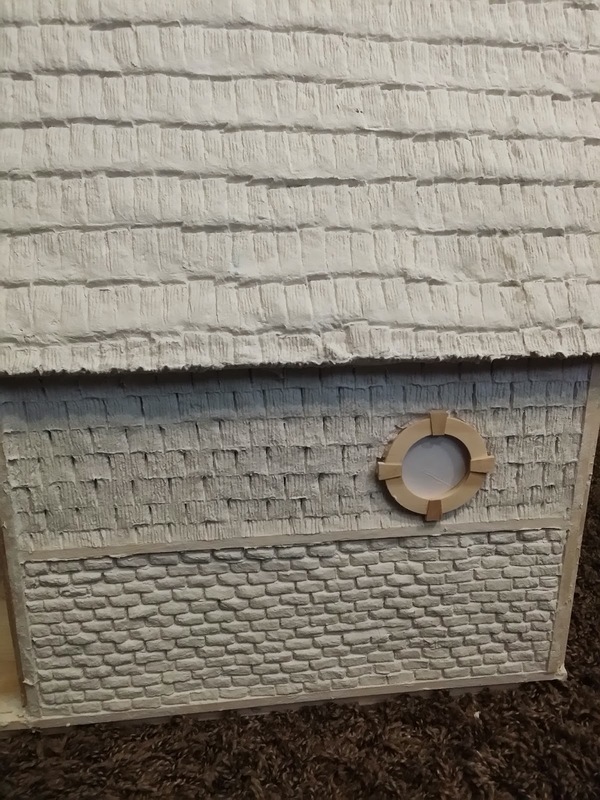 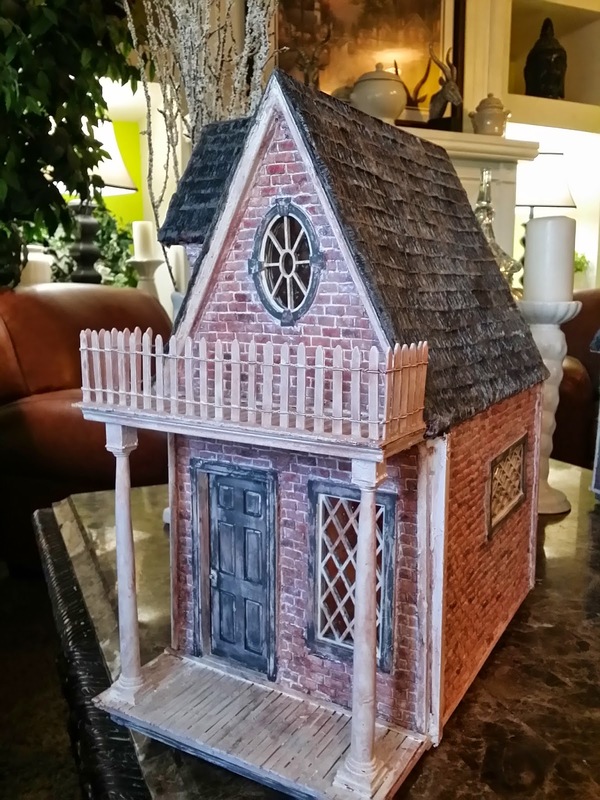 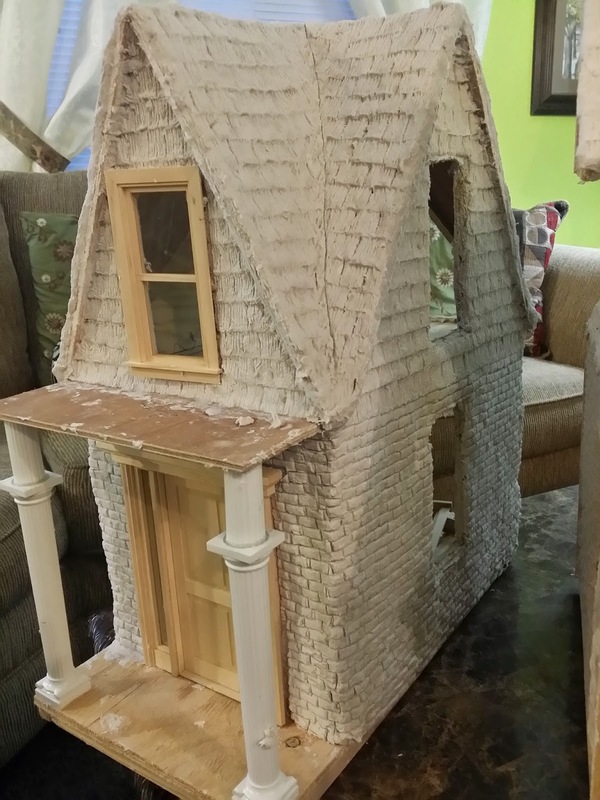 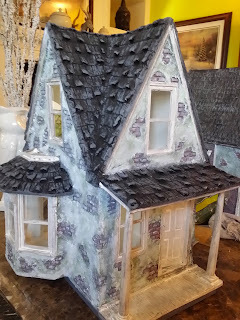 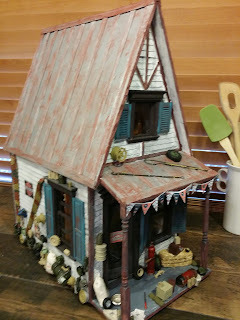 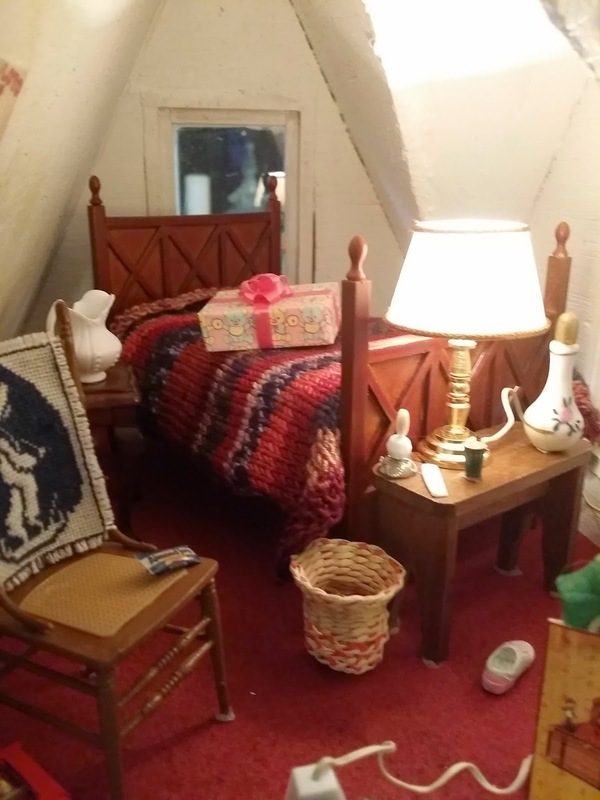 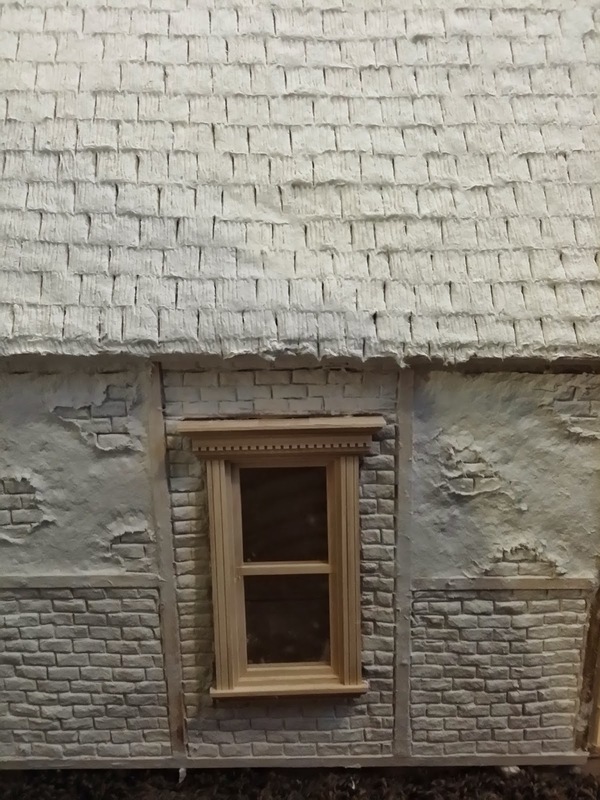 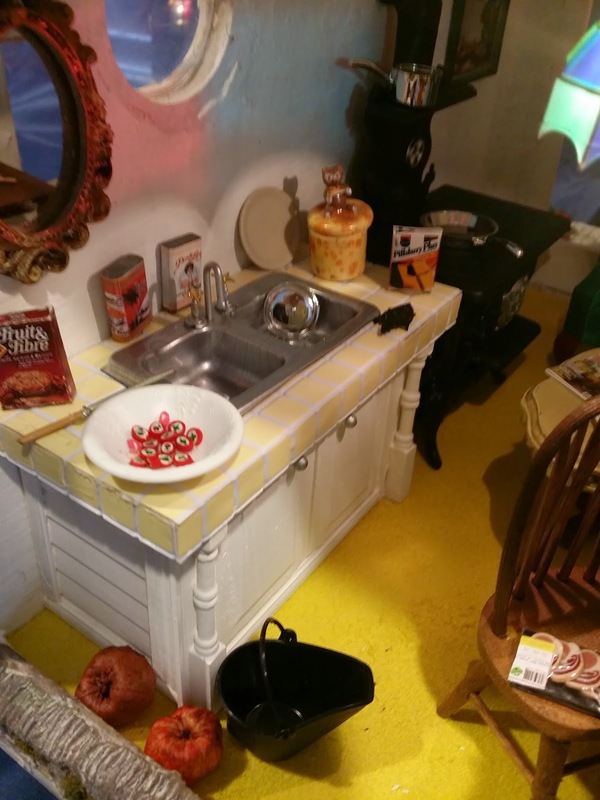 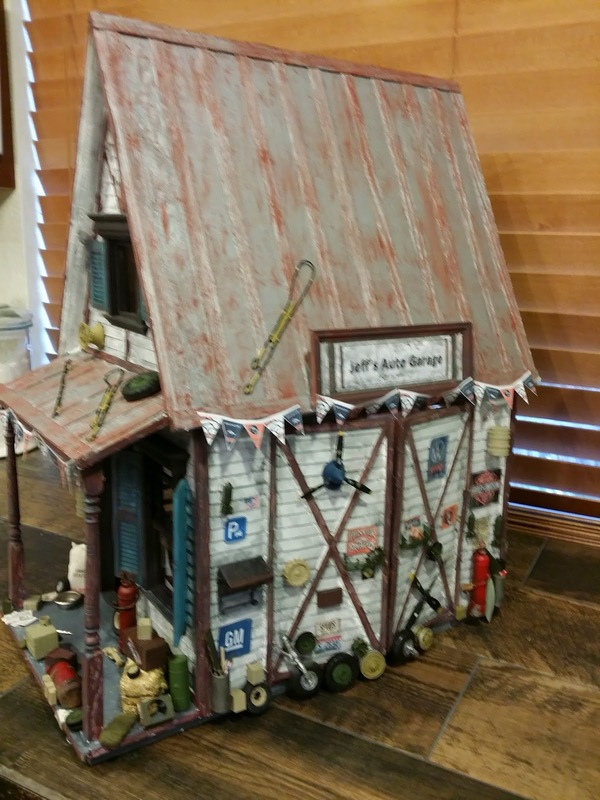 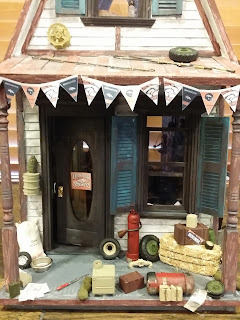 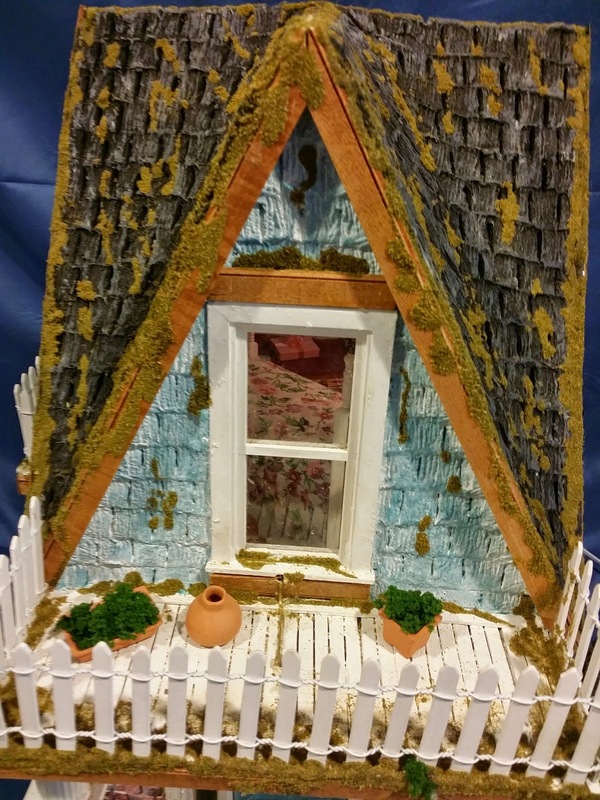 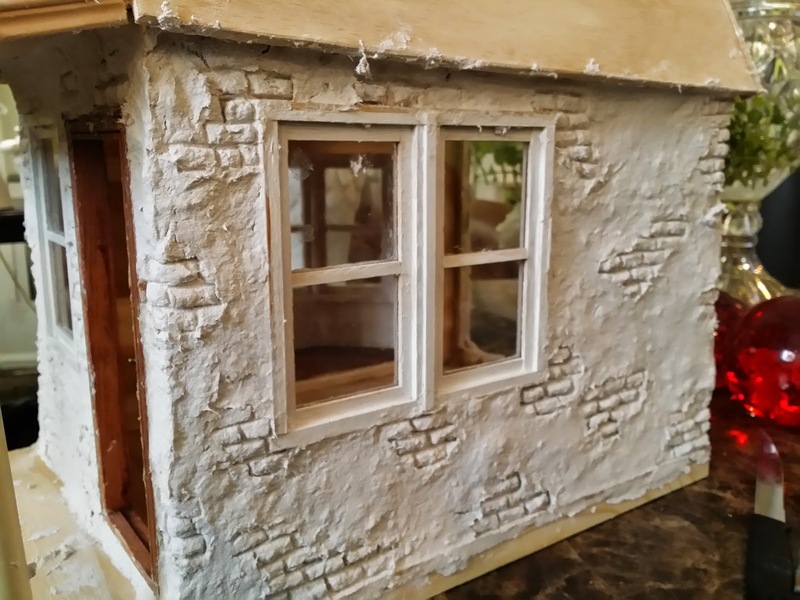 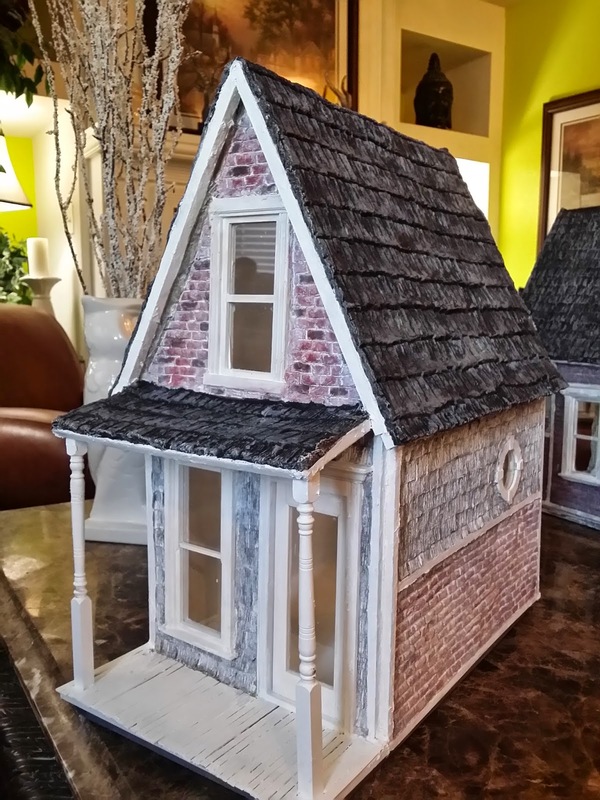 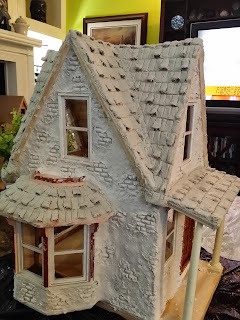 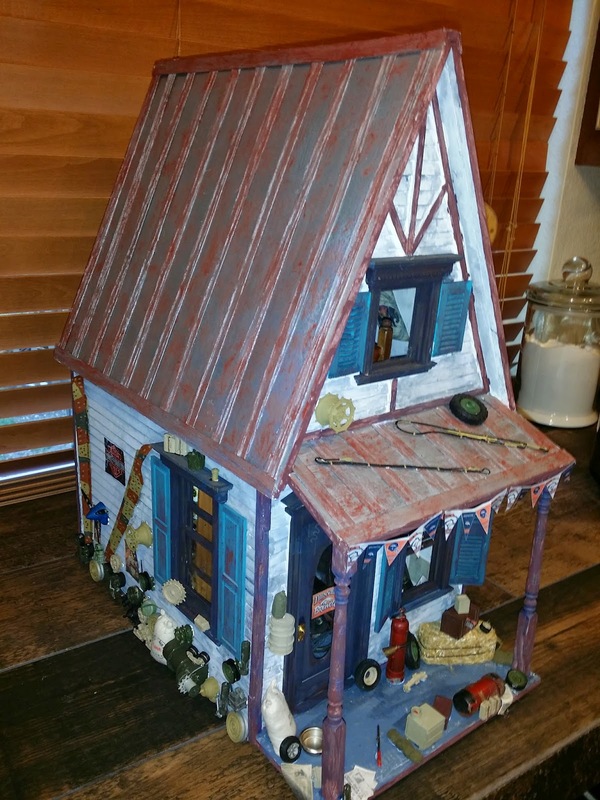 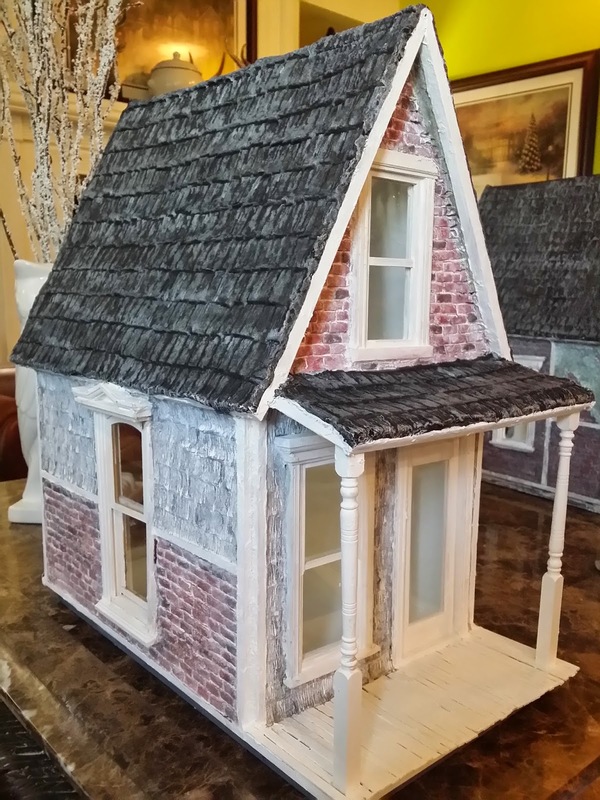 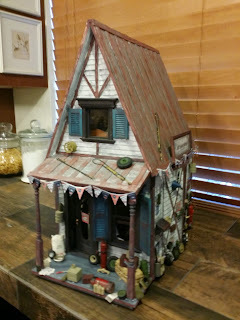 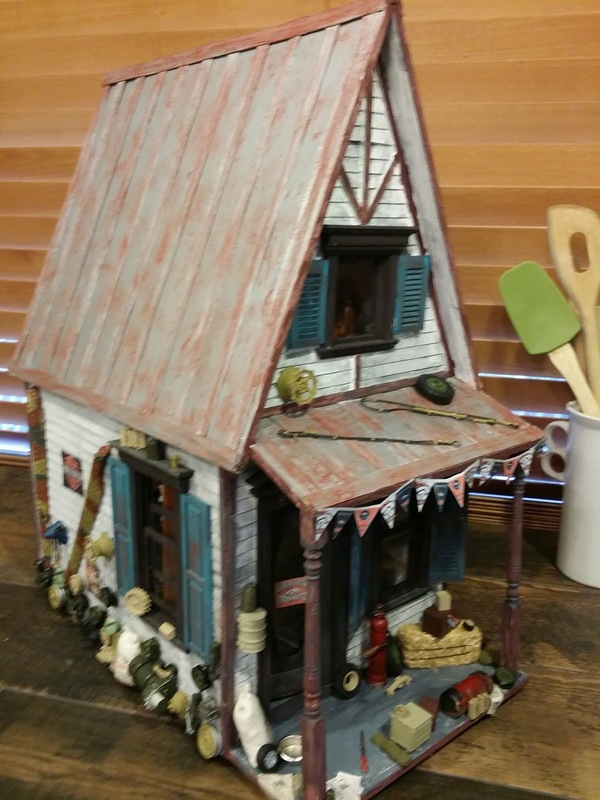 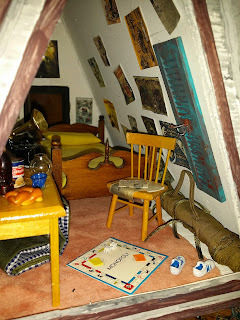 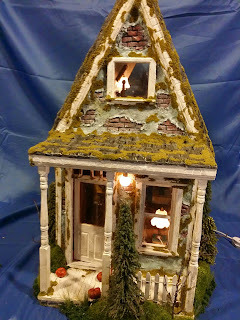 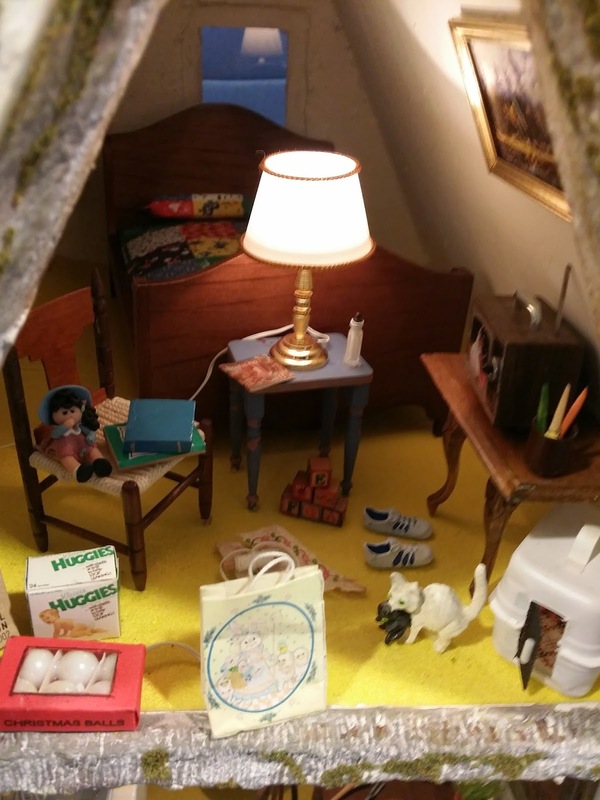 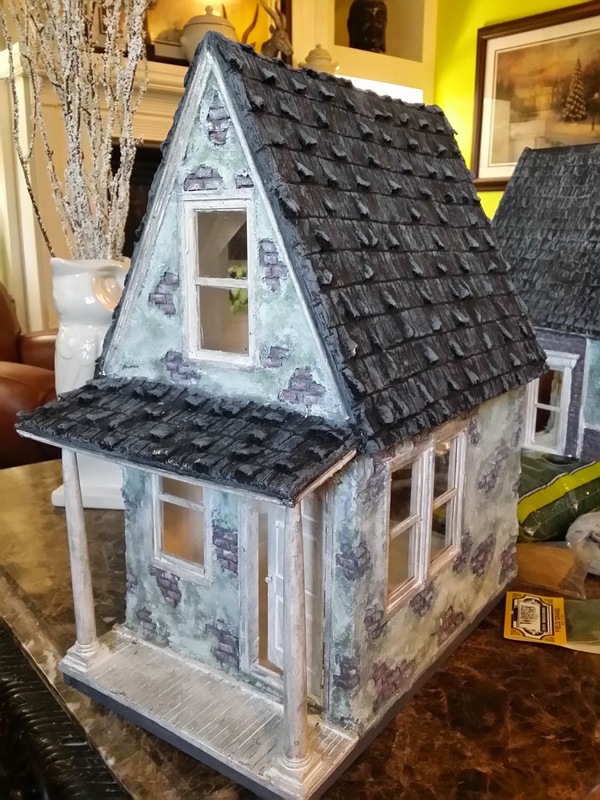 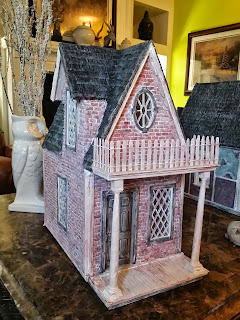 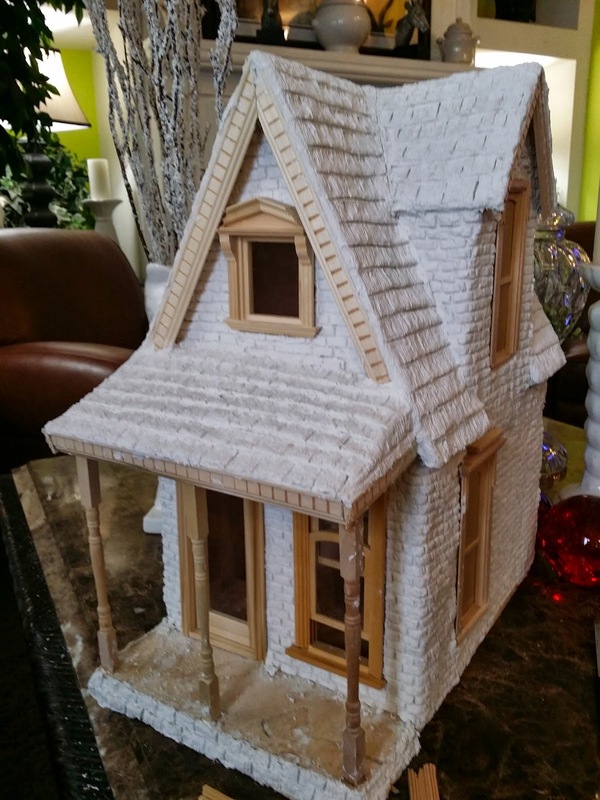 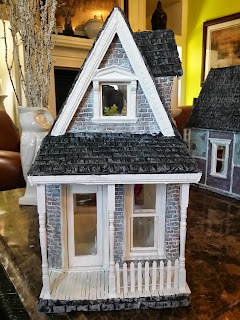 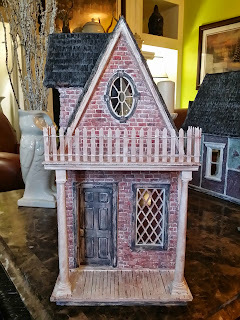 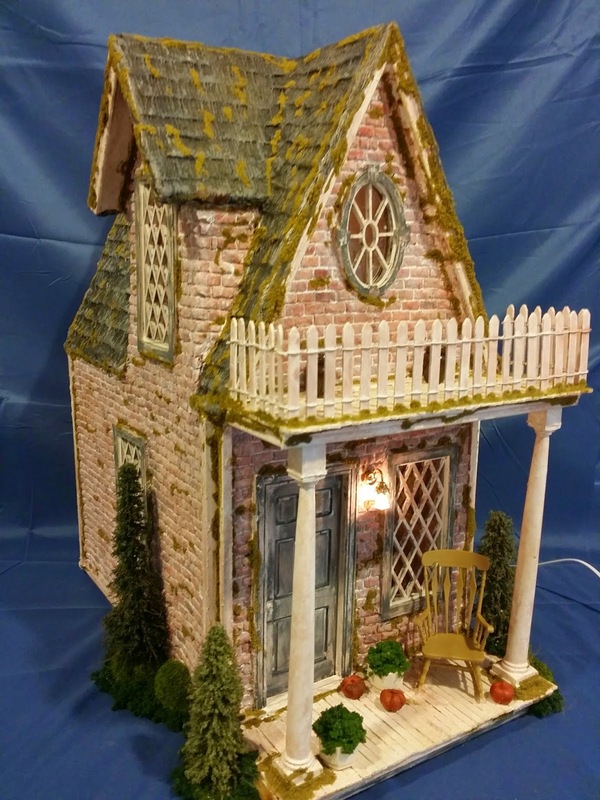 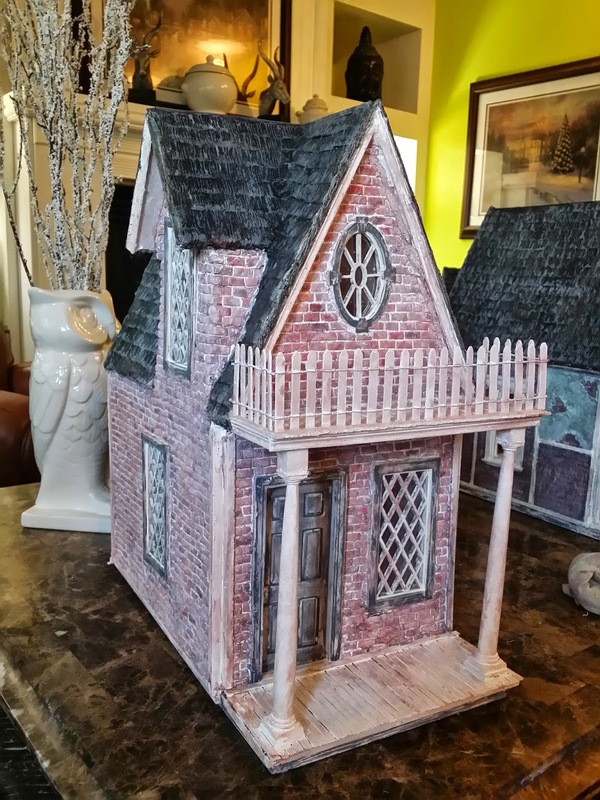 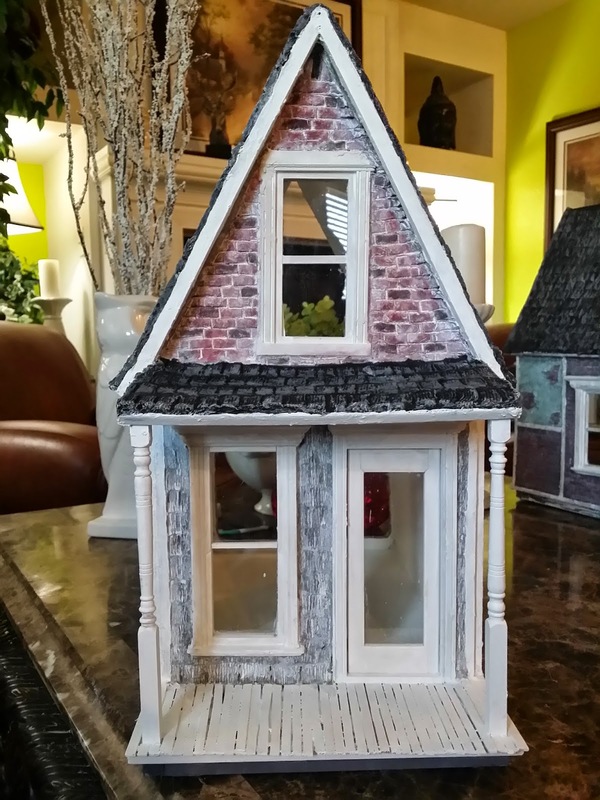 This is a complete wood house that he wanted since the paper clay would be too much work. 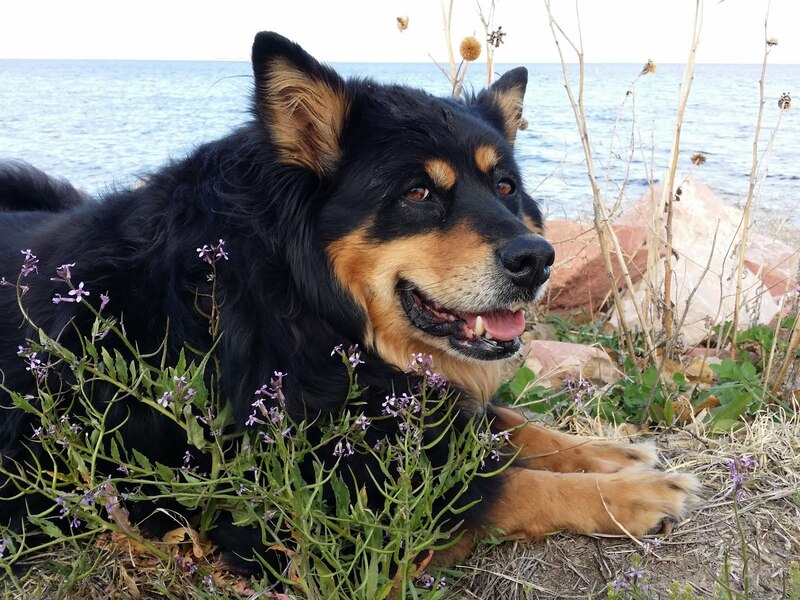 Have a Wonderful Week Everyone! 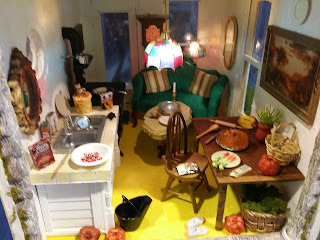 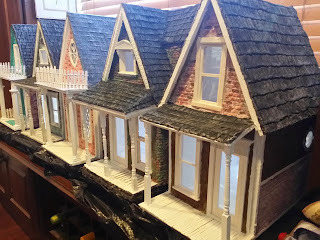 I have a couple more houses to post pictures of and hope to find time soon to share them. 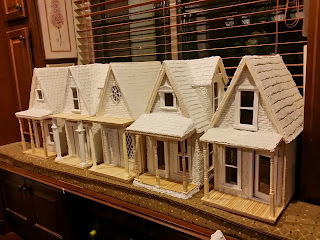 Hi Everyone, I am so sorry for my 7 month Respite on not posting any updates on new houses I have created. It has been a busy year with a nice Royal Carribean Cruise Vacation, and many Projects around the house. 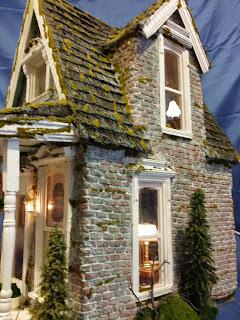 I currently am working on preparing for the upcoming Denver Miniature Sales Show coming up in September 2015. 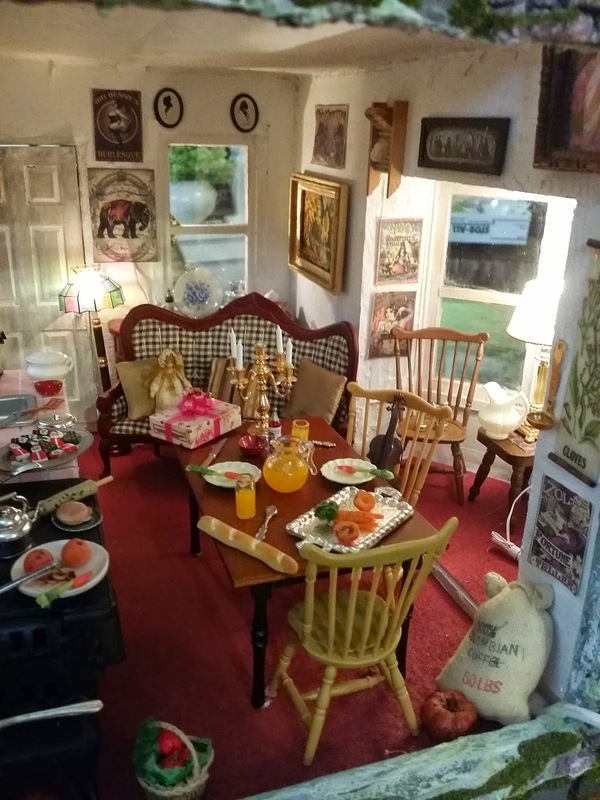 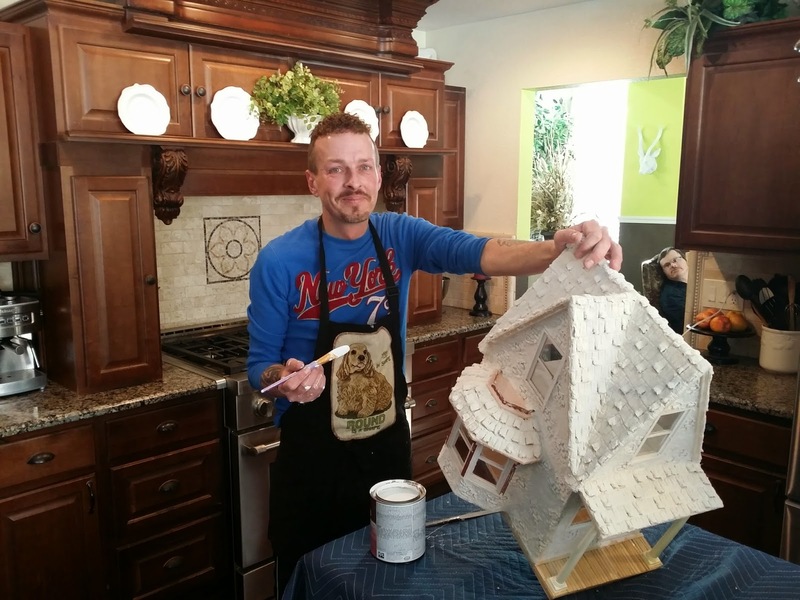 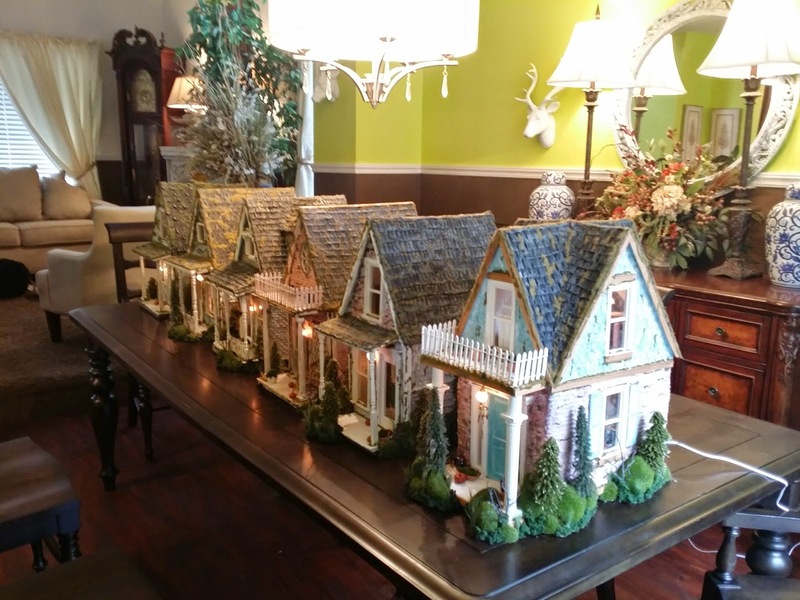 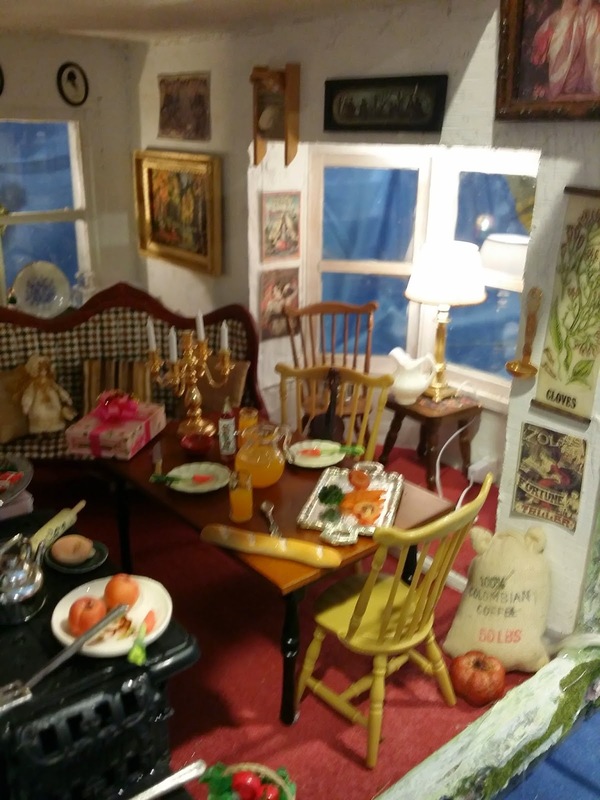 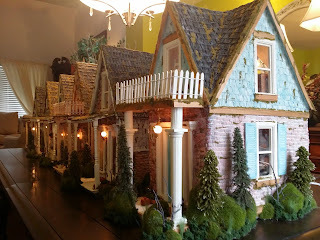 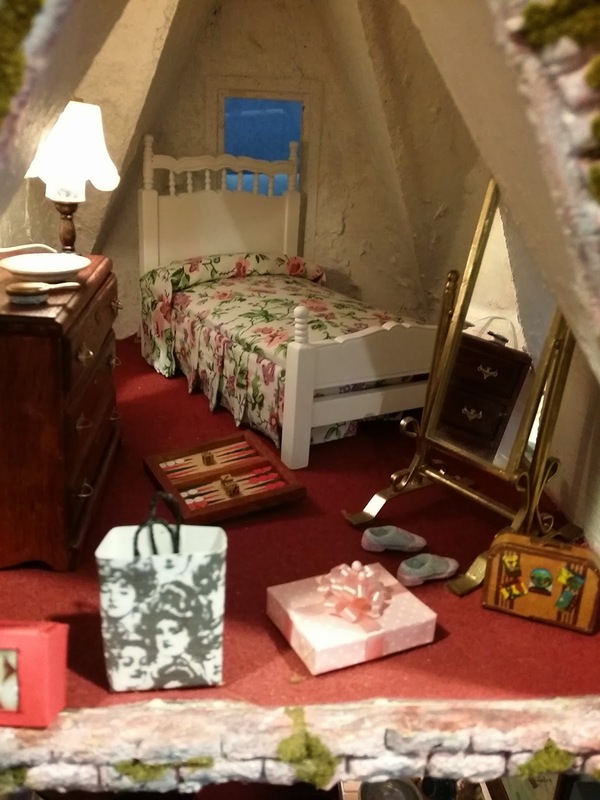 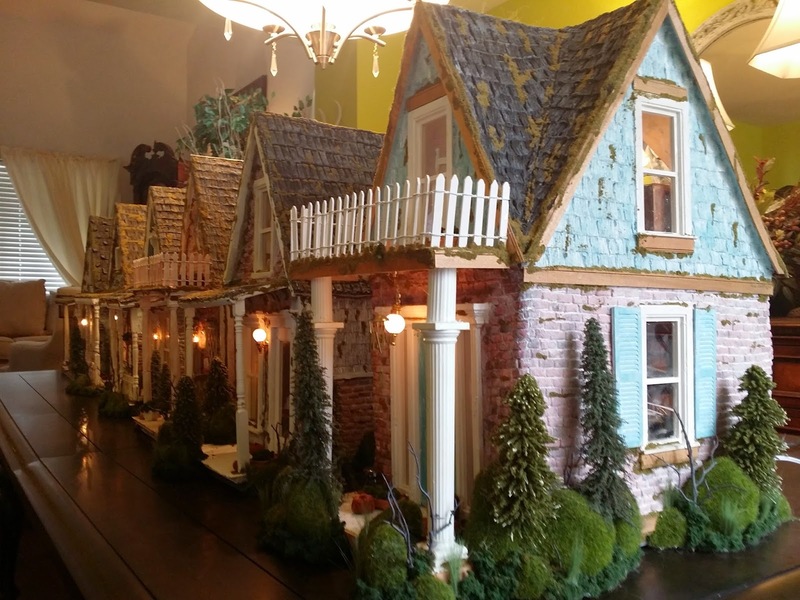 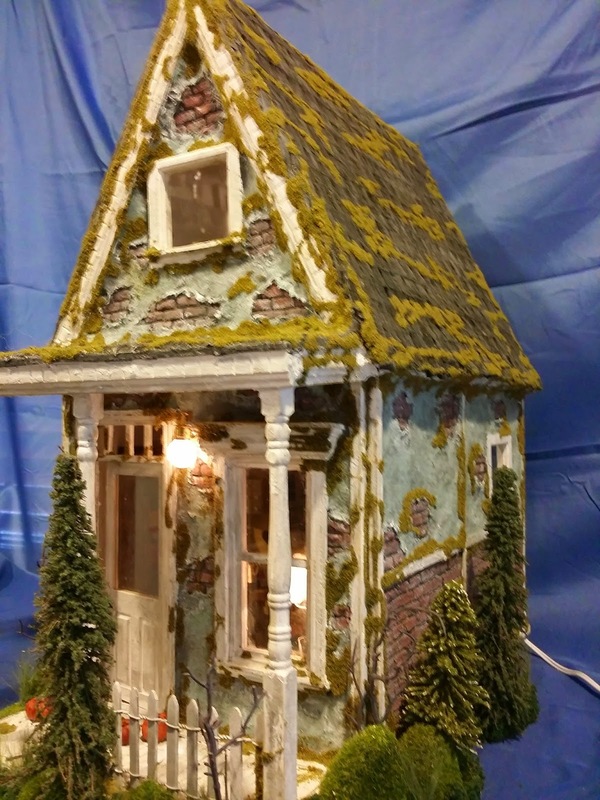 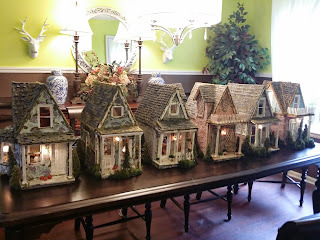 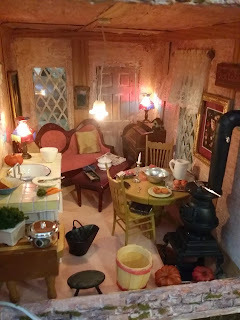 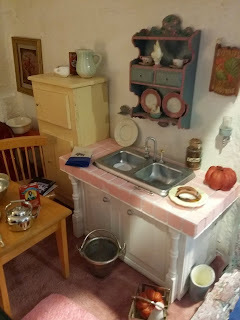 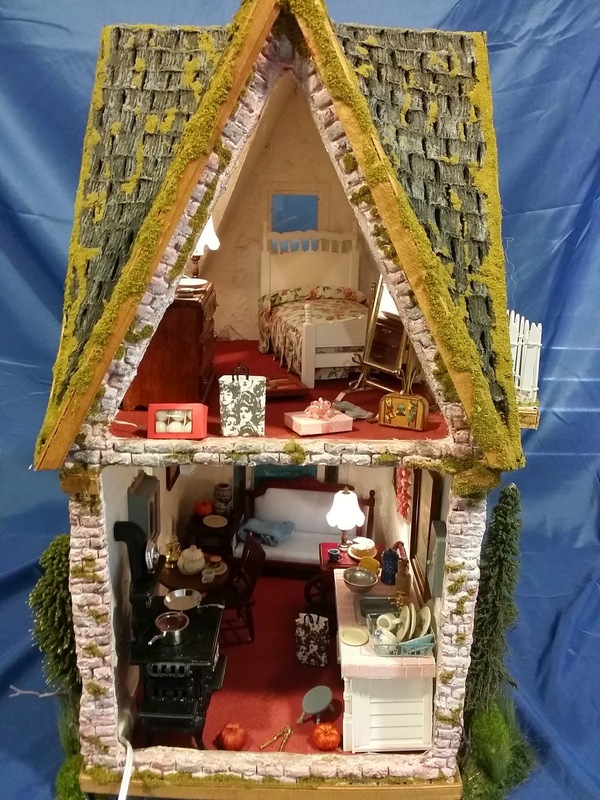 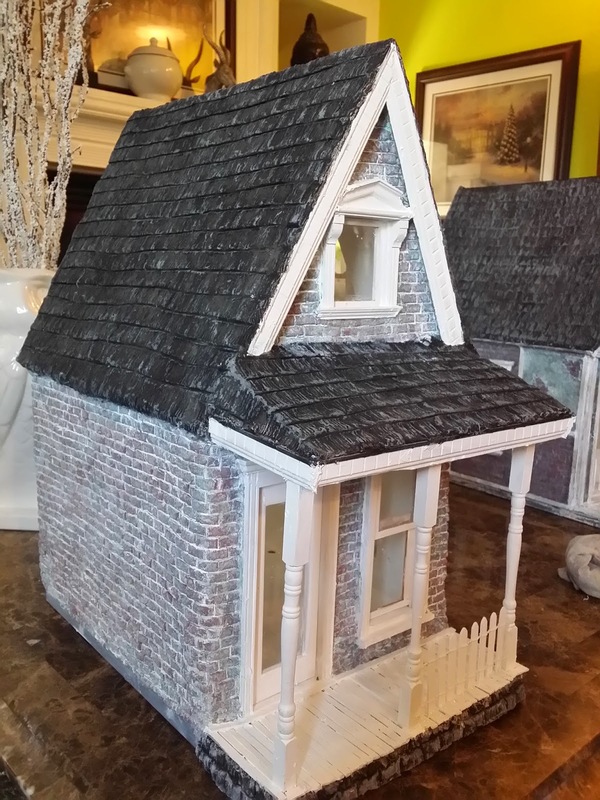 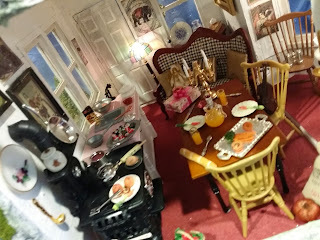 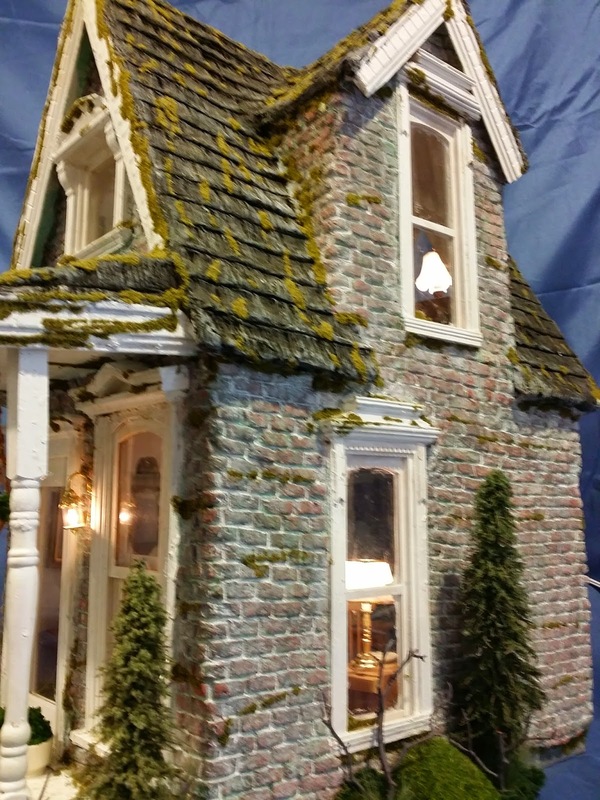 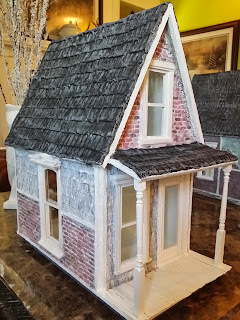 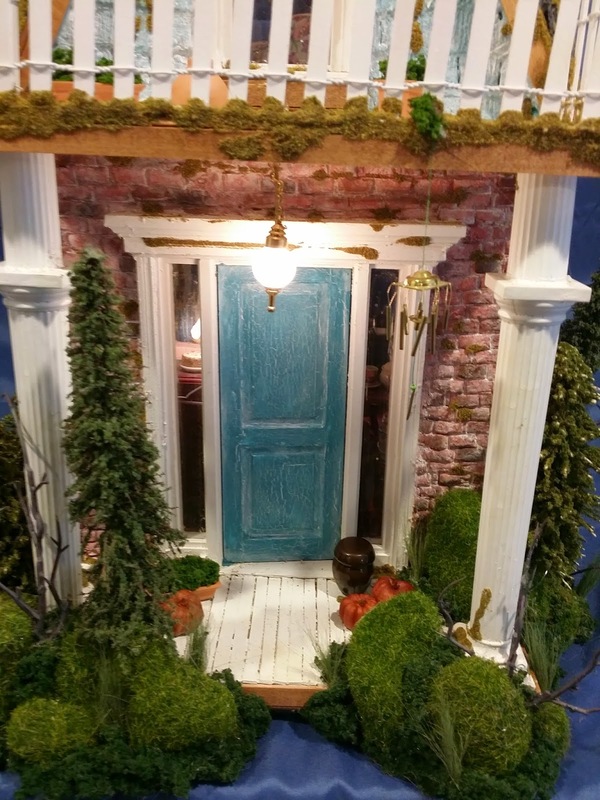 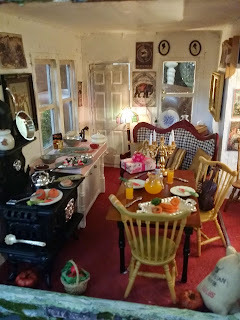 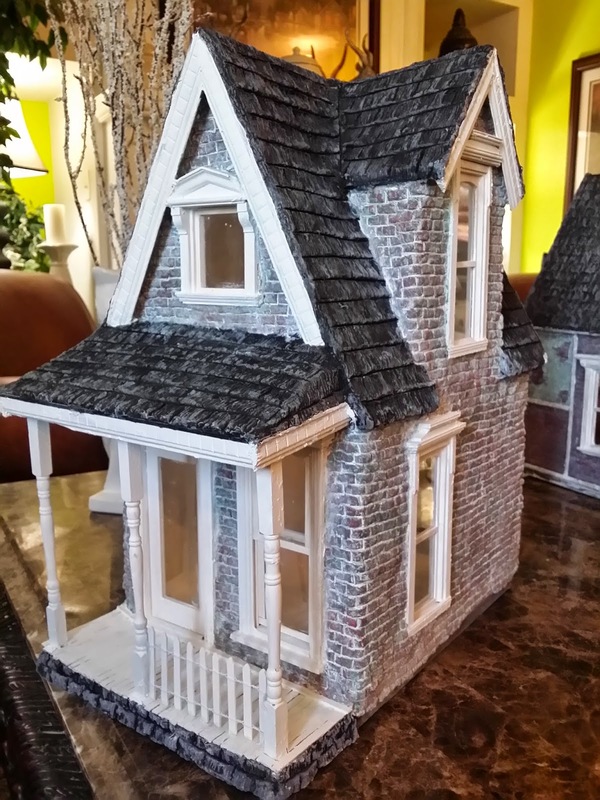 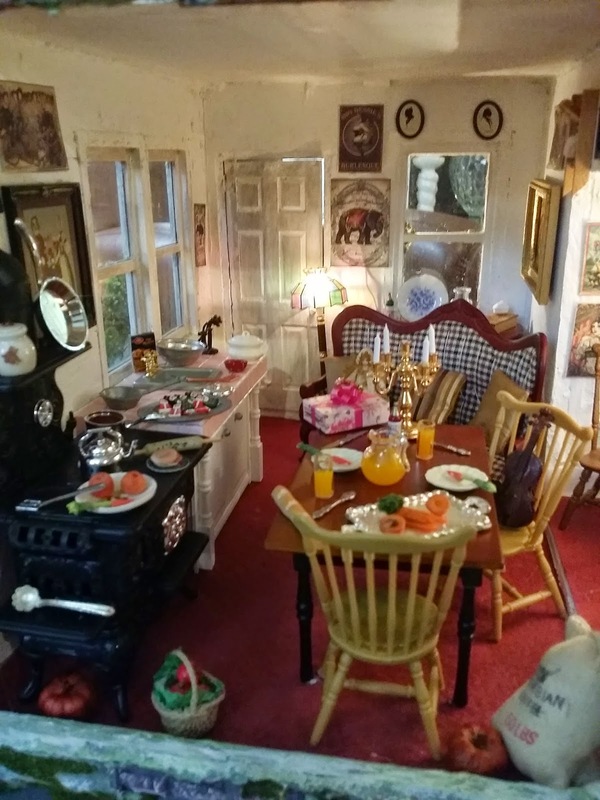 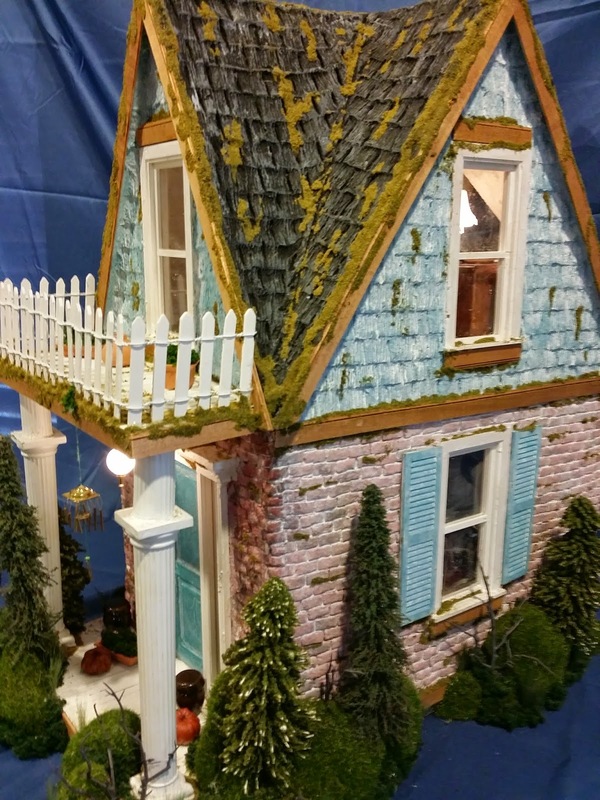 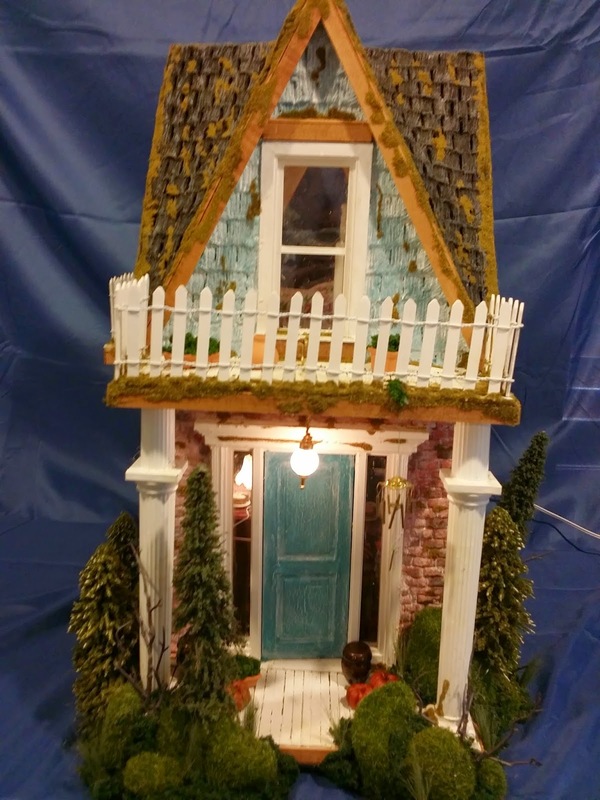 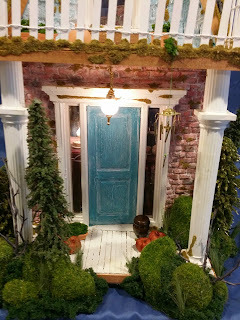 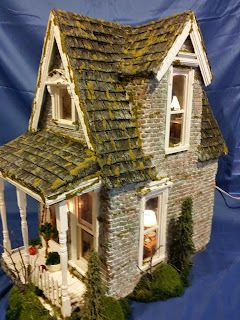 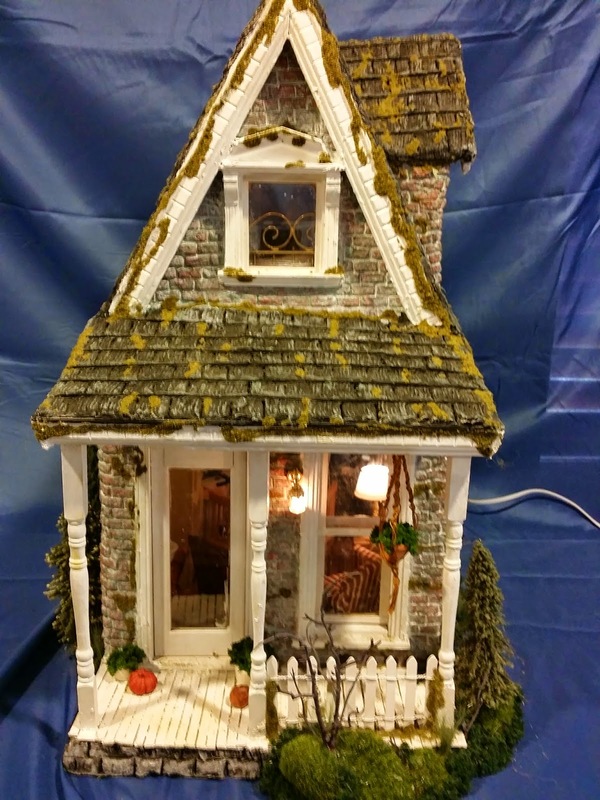 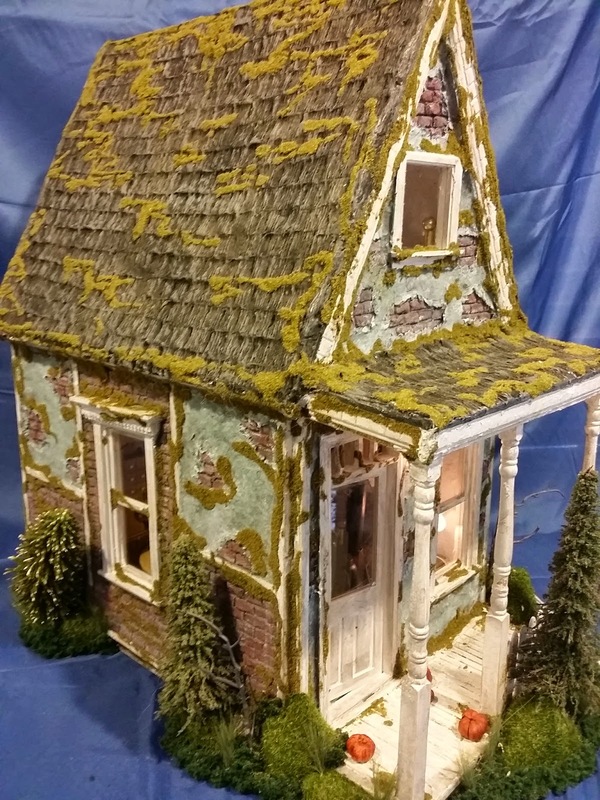 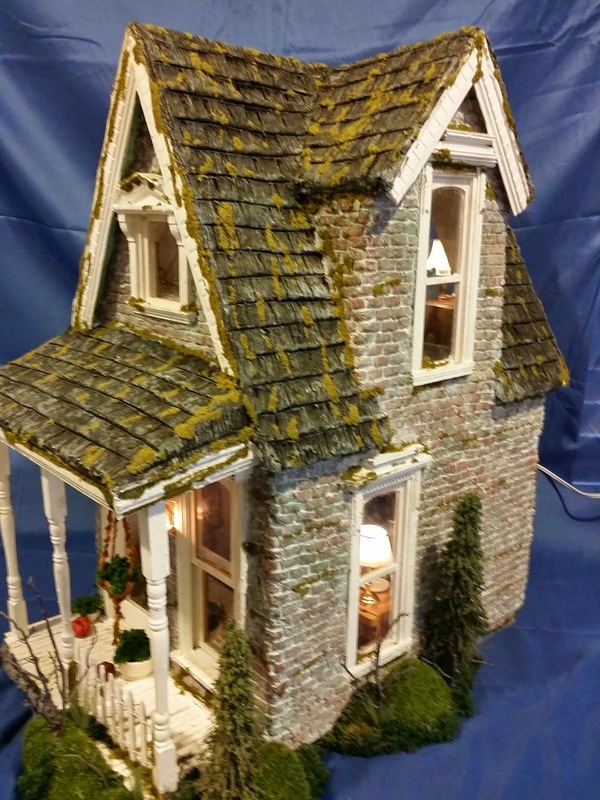 Since last year my houses were a hit at the sales show I am trying to prepare as many as I can to sale this year. 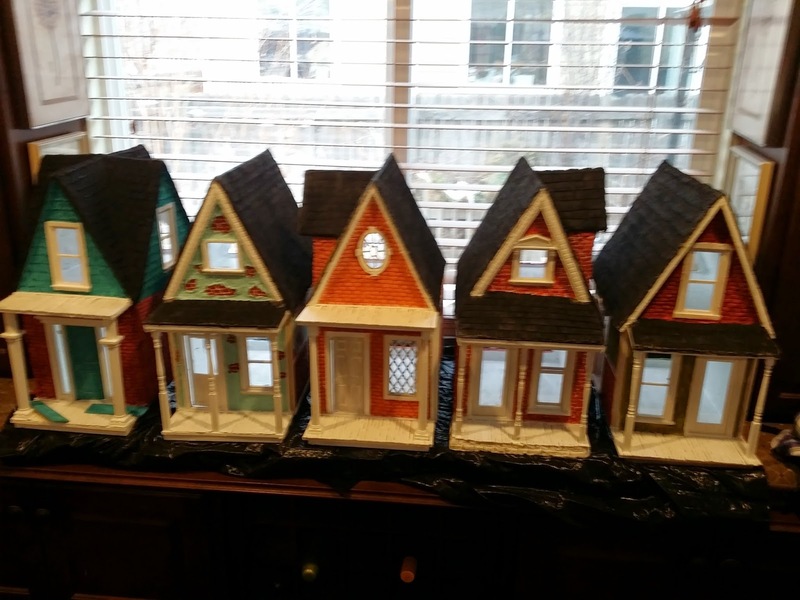 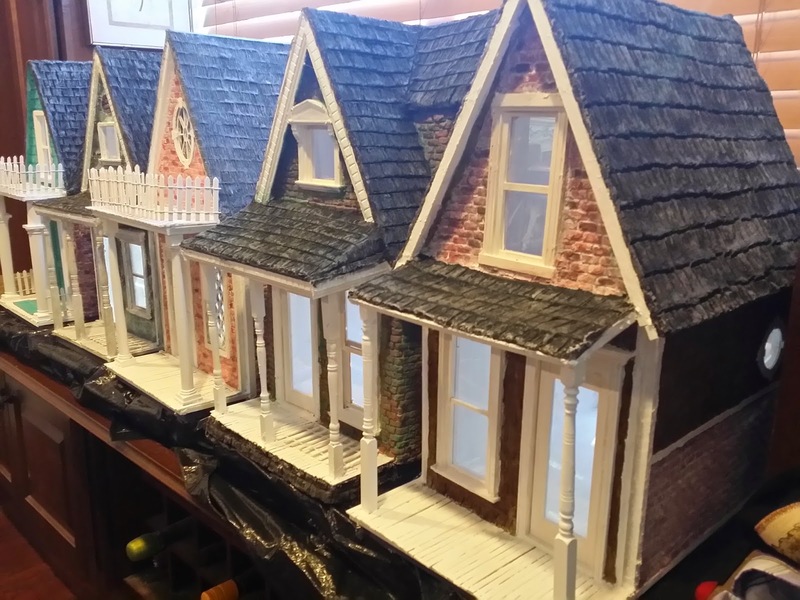 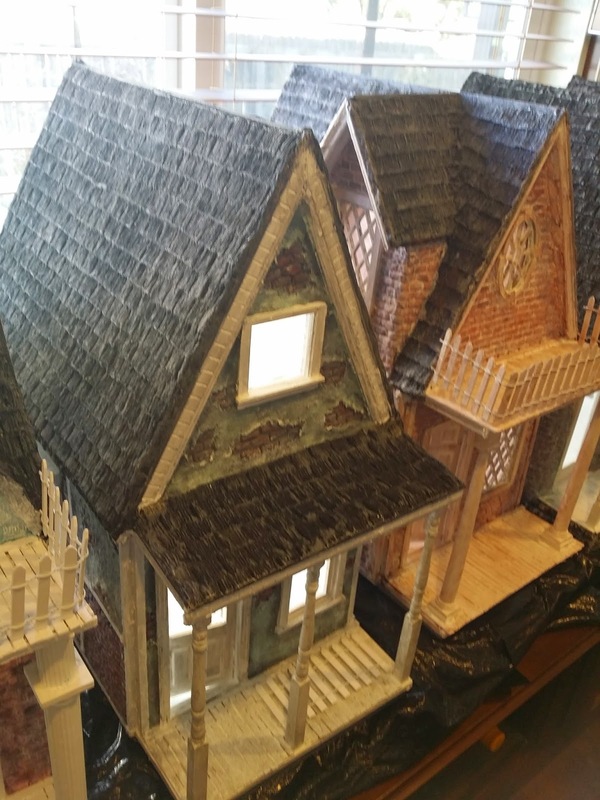 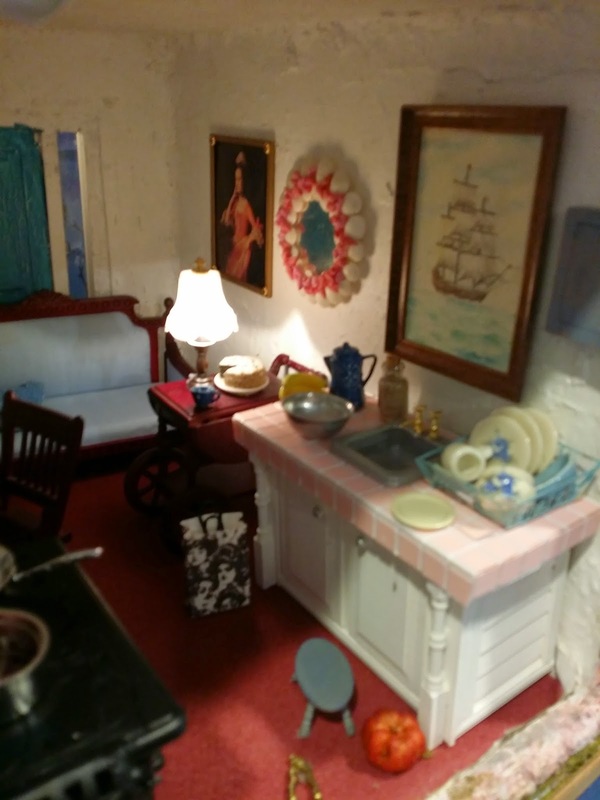 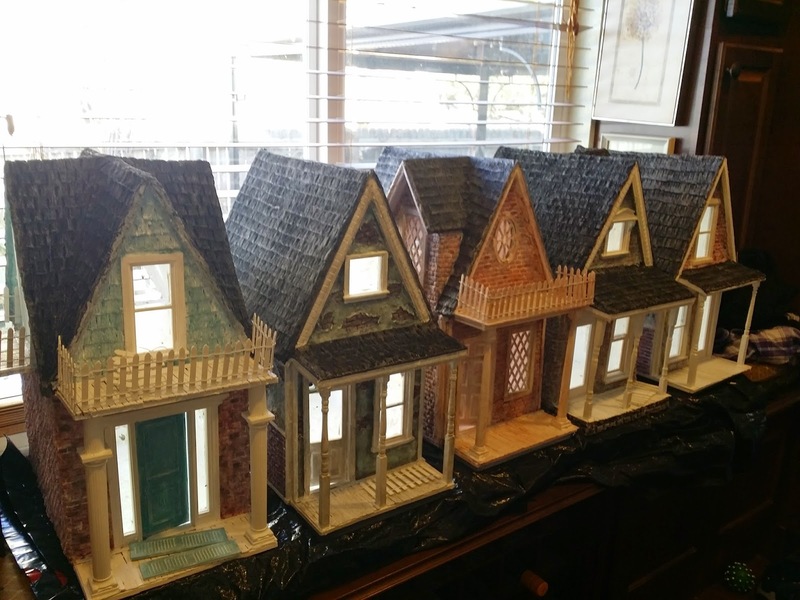 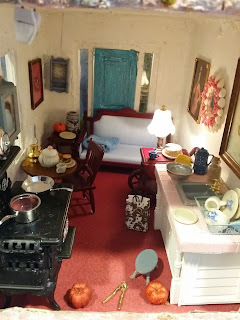 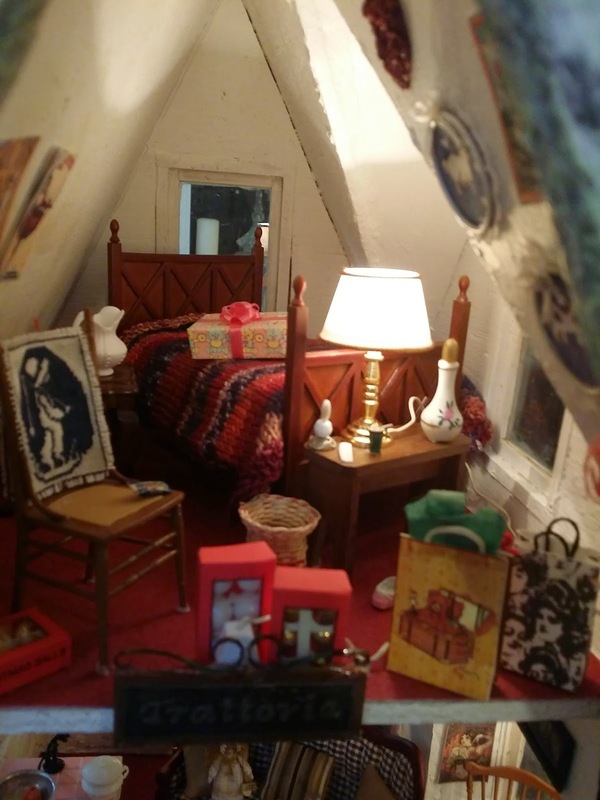 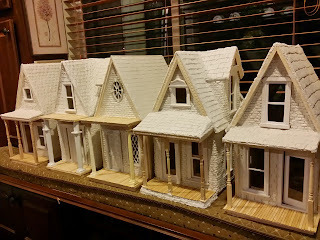 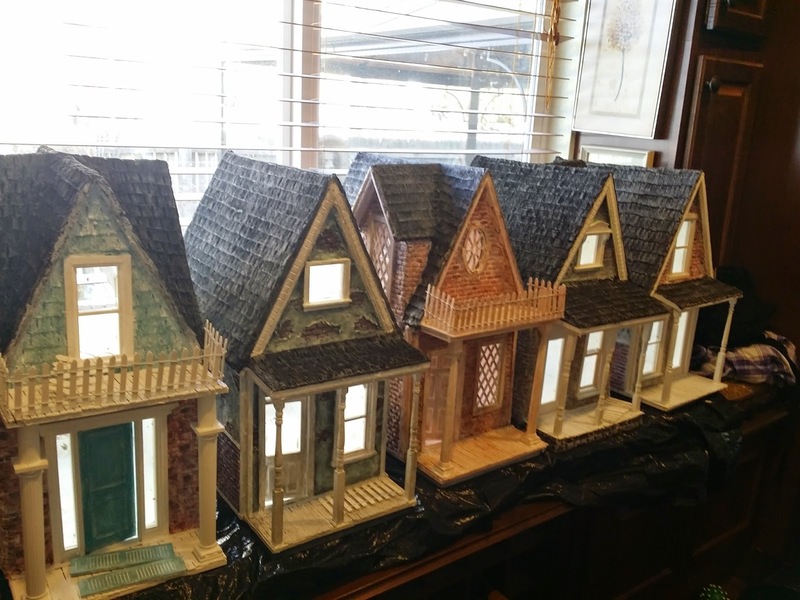 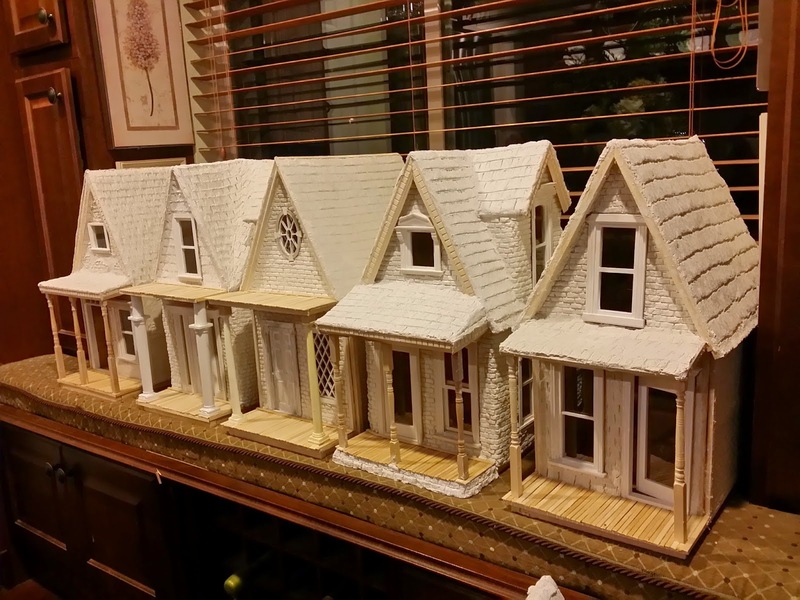 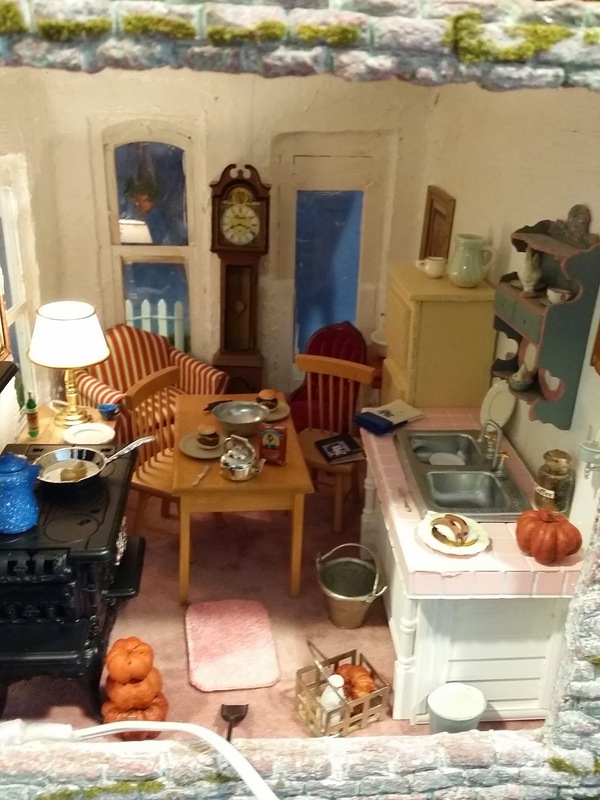 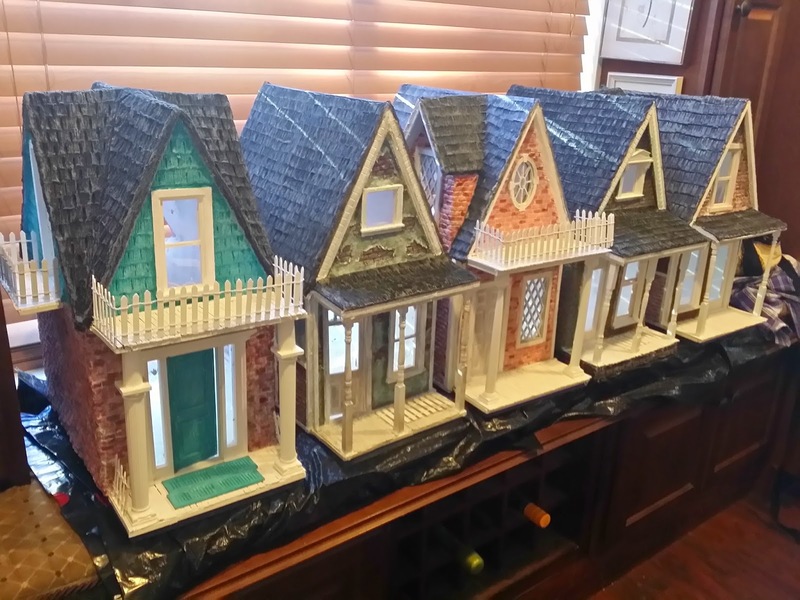 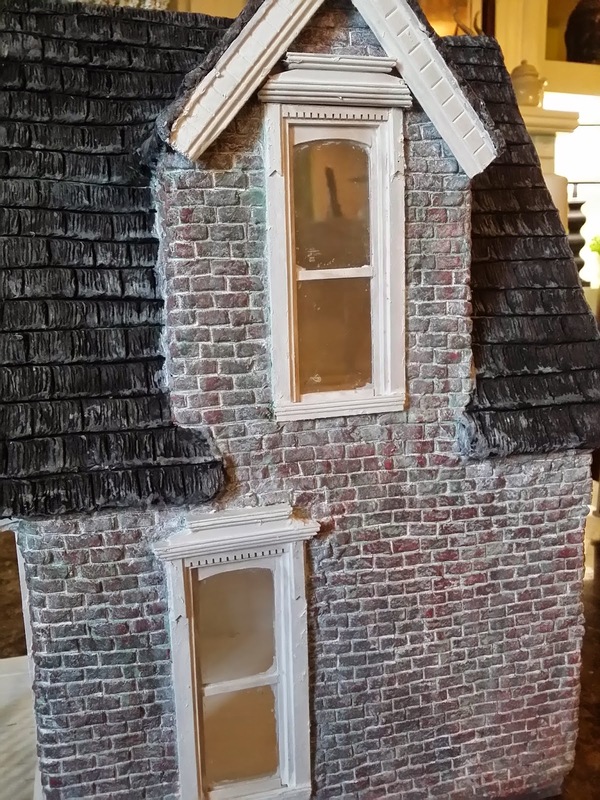 I just finished 6 miniature houses this past month in which I am calling my Run Down Row Houses. 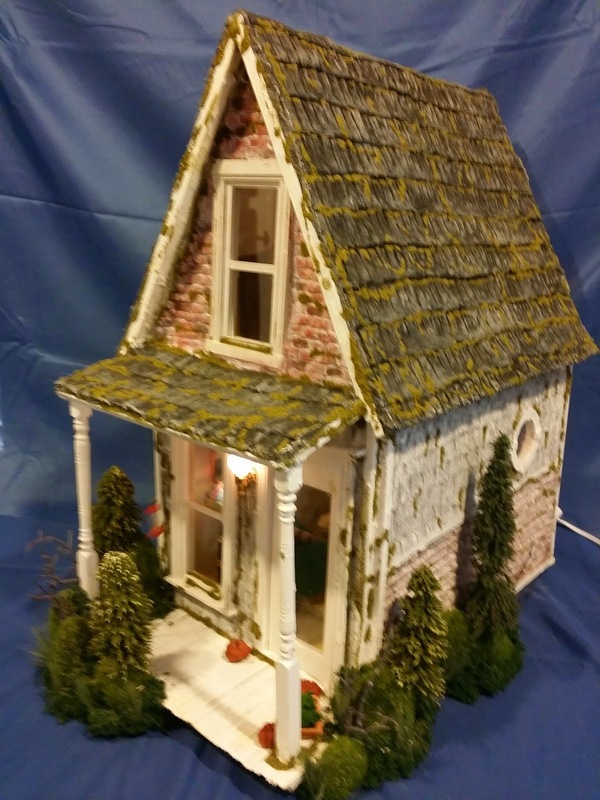 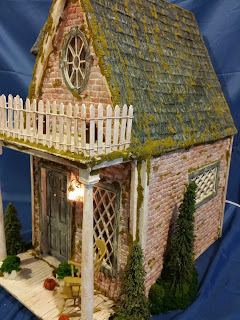 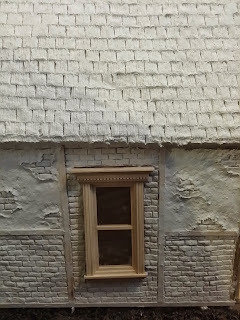 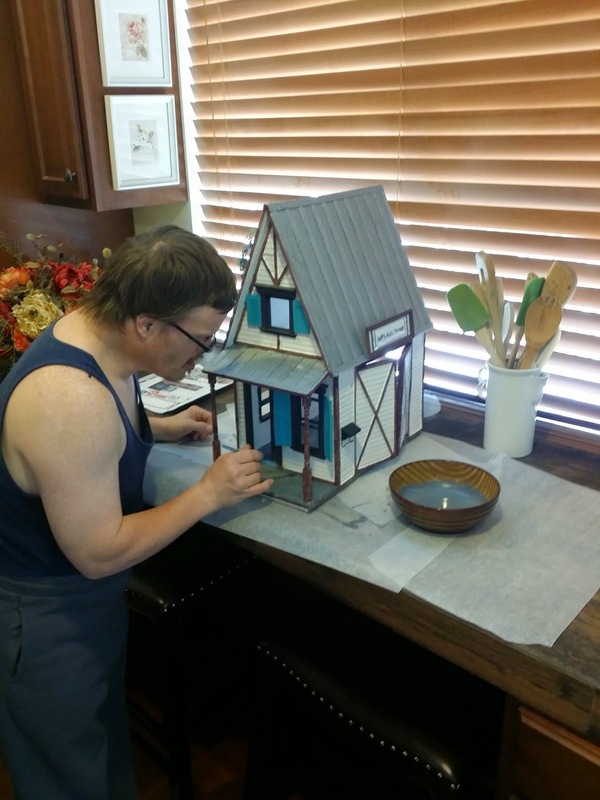 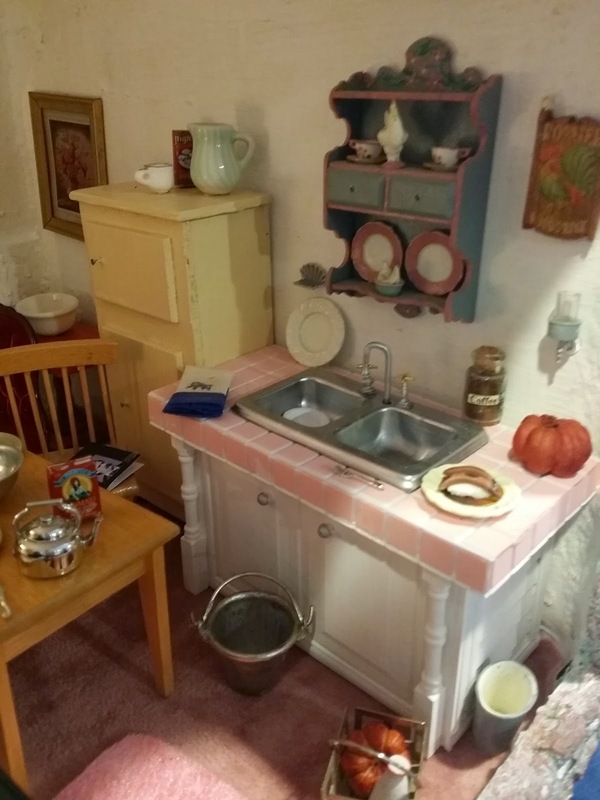 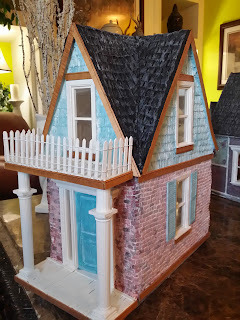 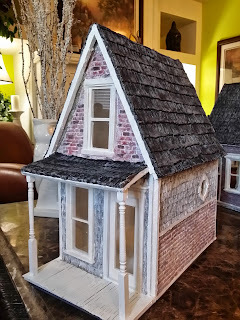 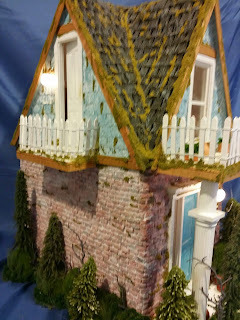 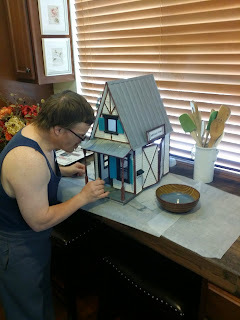 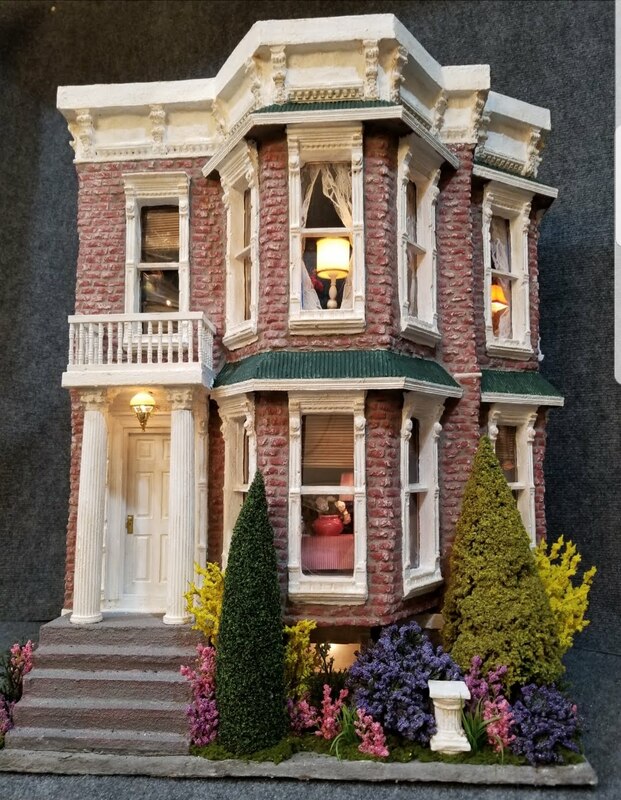 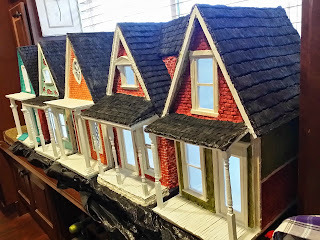 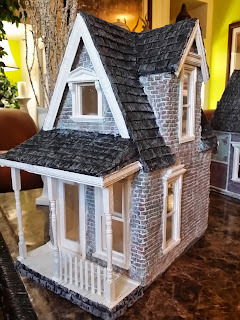 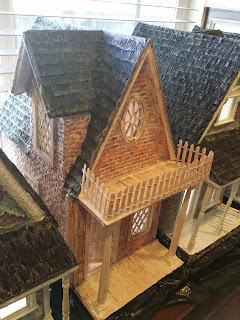 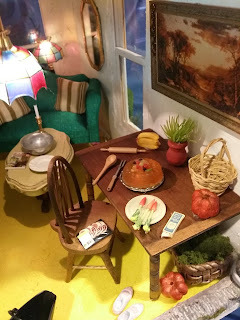 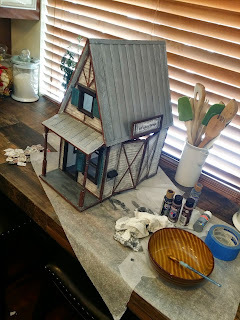 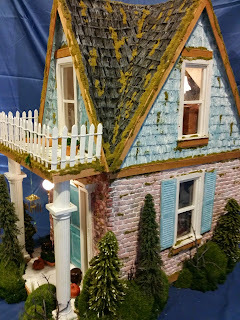 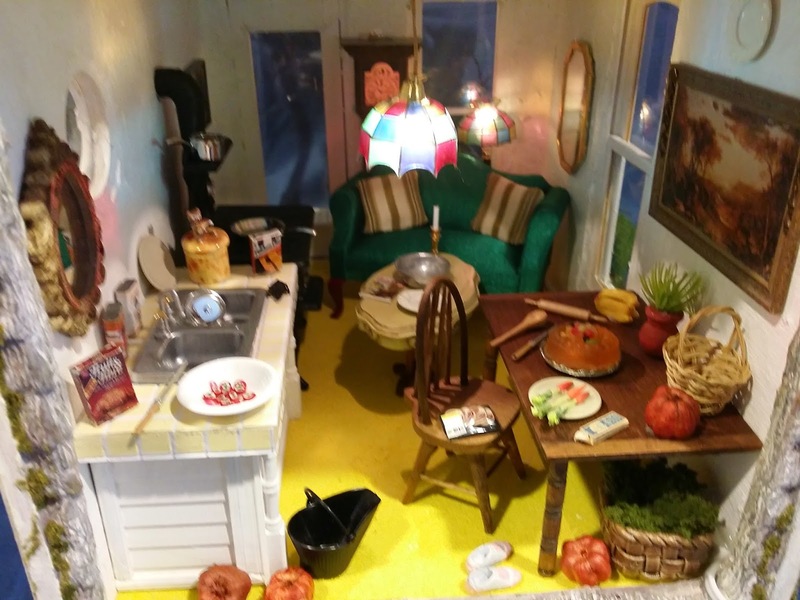 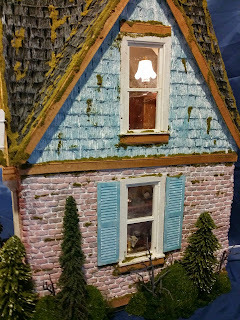 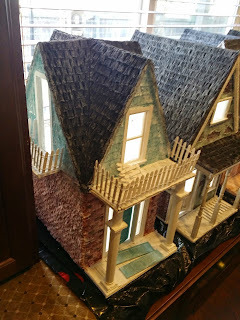 I have had a lot of trouble trying to download the pictures of the work I did building these houses so some of the pictures are out of order. 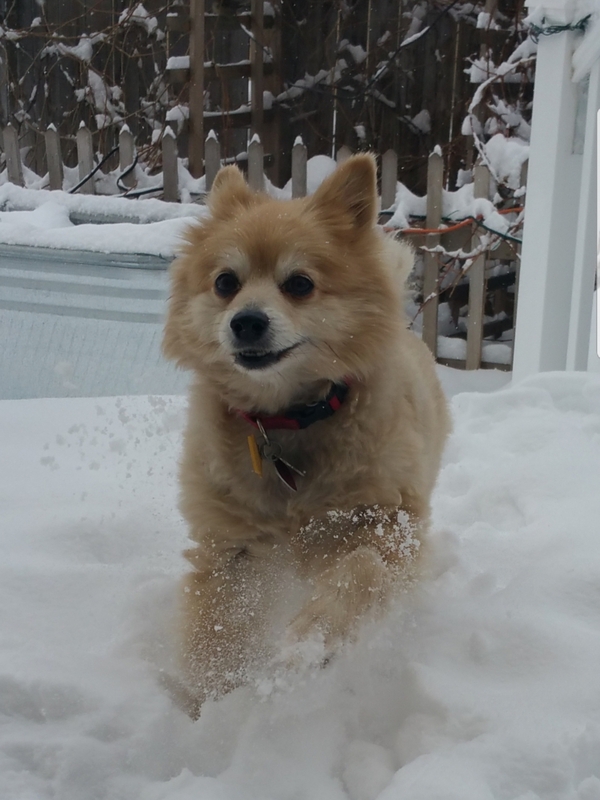 I usually try to have the pictures from start to finish, but they are backwards today. I hope you like them. I tried to go for a 90 year old abandoned house look for each home. I decided not to put wallpaper in the houses this time and minimal furniture since most people who bought my houses last year redecorated the insides anyway. 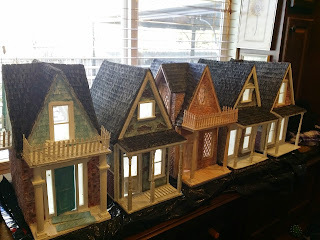 Plus its a time and cost saving measure I am taking to be able to sale the houses at a lower price. 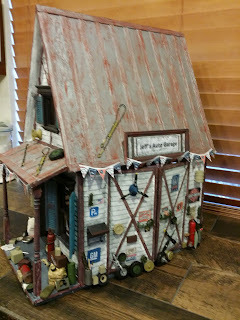 I have about 96 pictures below for you to look at. I enjoyed doing an Assebly Line Production in making all 6 houses at the same time to try to get enough built before the show. I hope these houses inspire you to build or create one of your own. 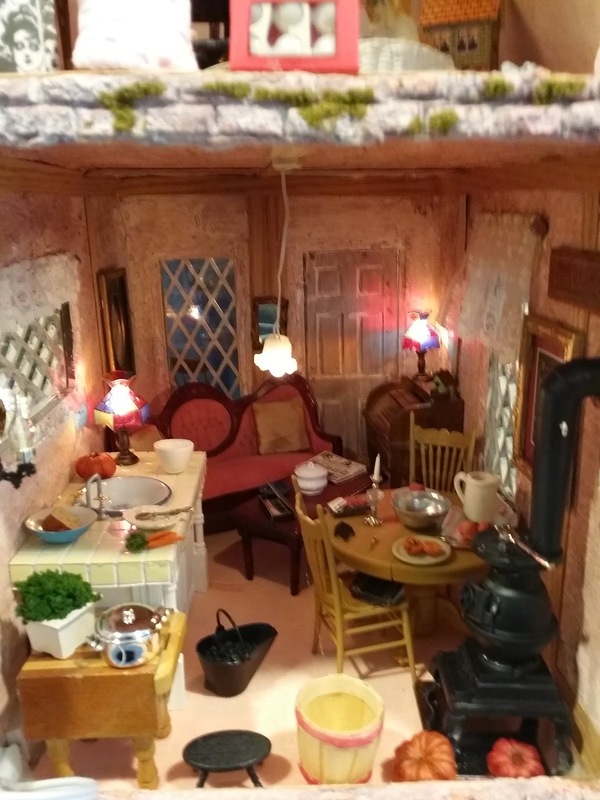 I hope you all have a wonderful month.